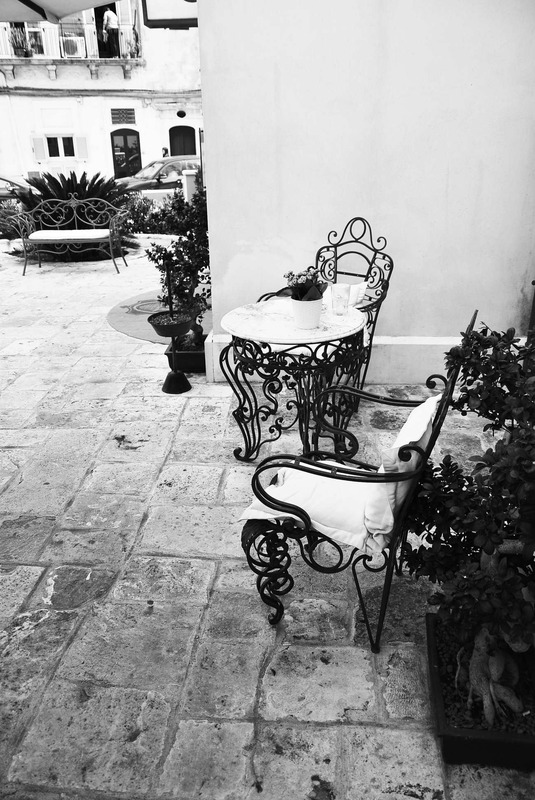 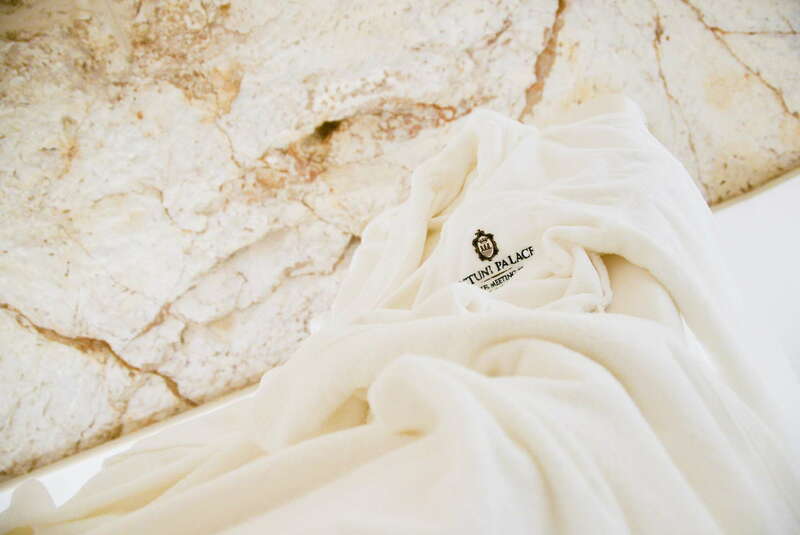 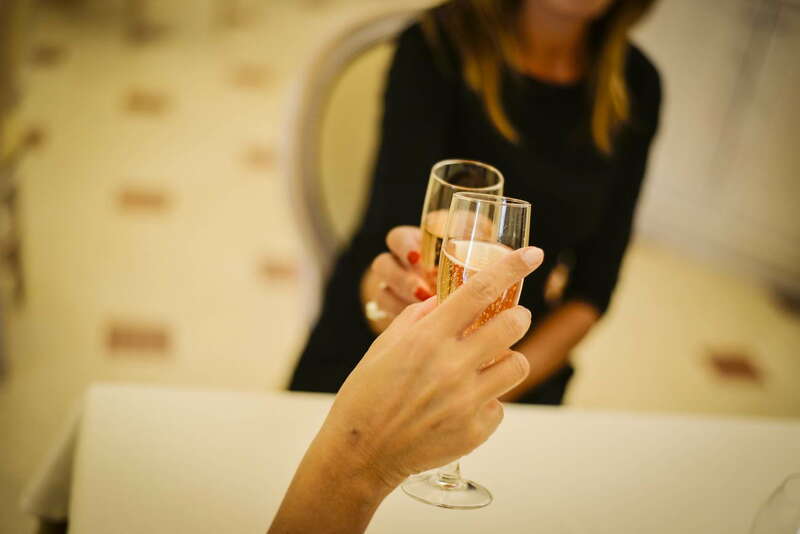 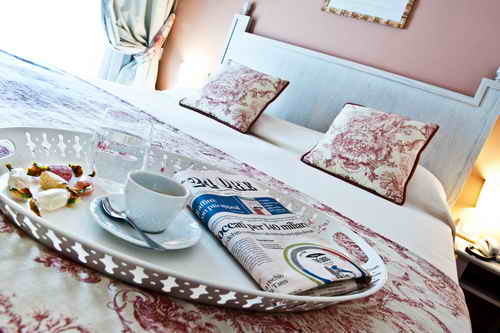 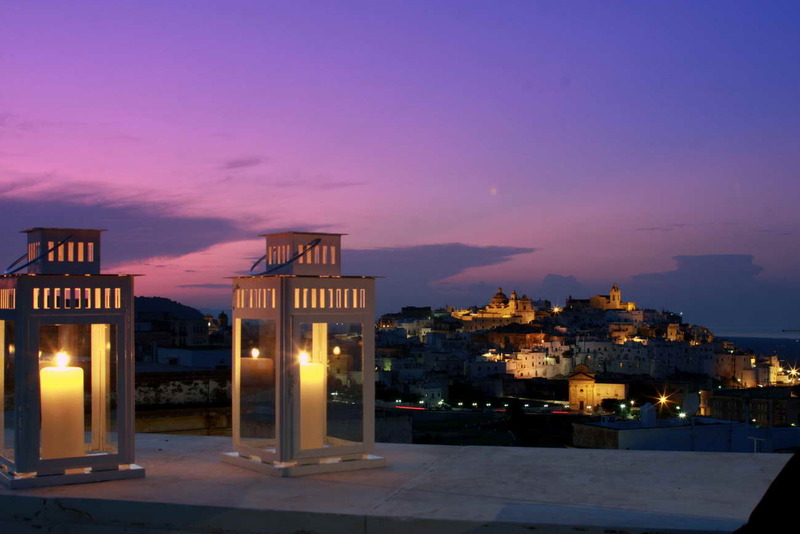 Ostuni, the famous "White City" by the fairytale charm is the magical setting that will accompany you during your stay at the Hotel Ostuni Palace. 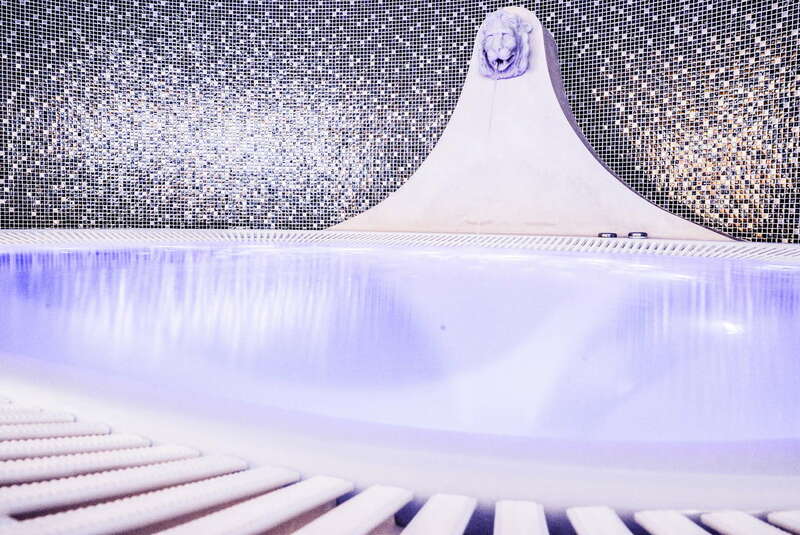 The perfect destination that makes the stay worthy of unforgettable memories. 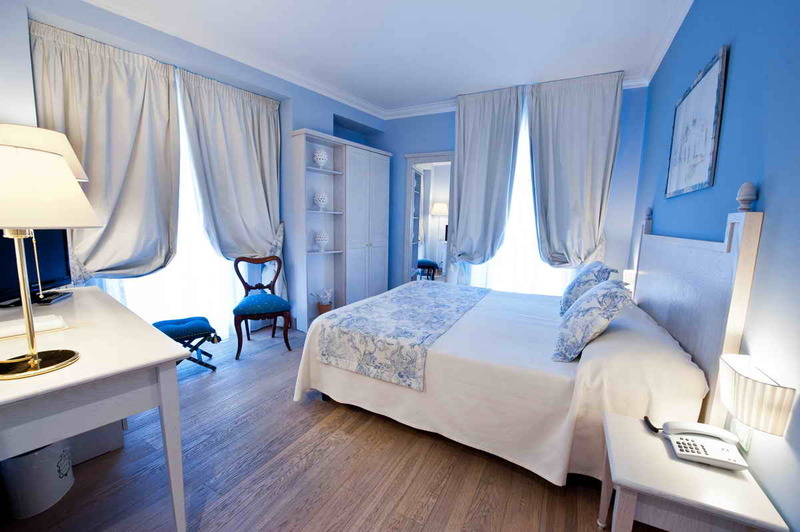 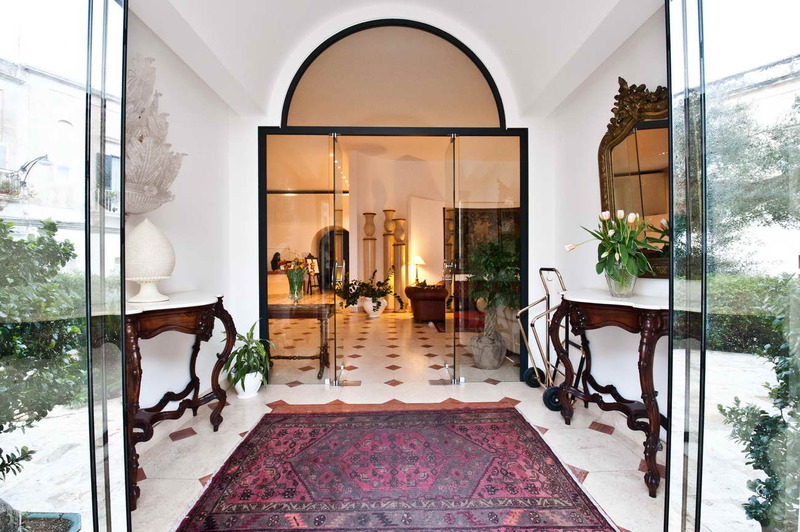 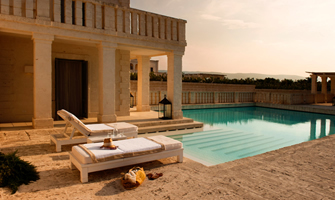 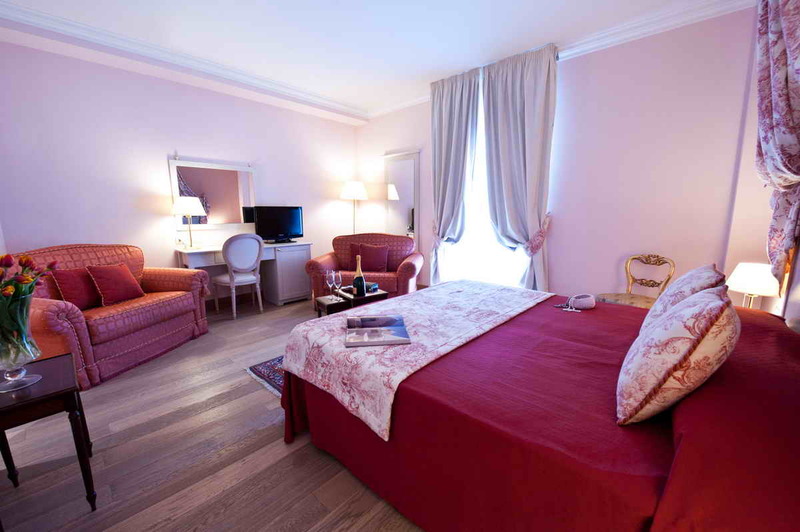 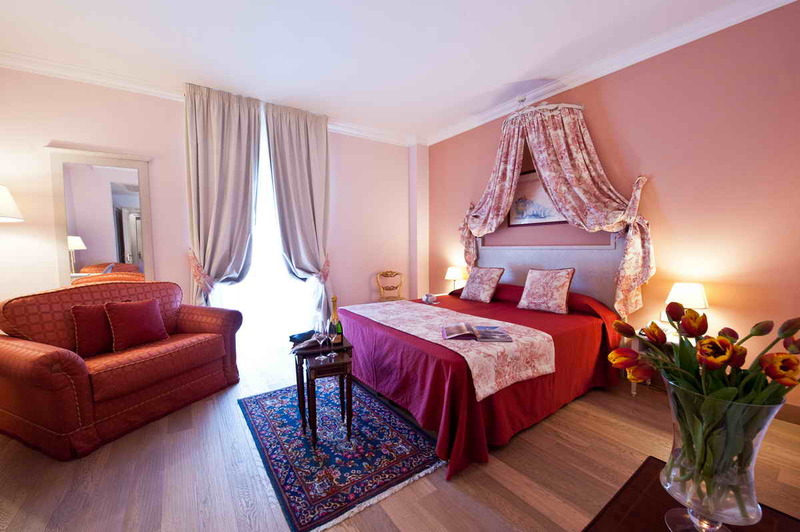 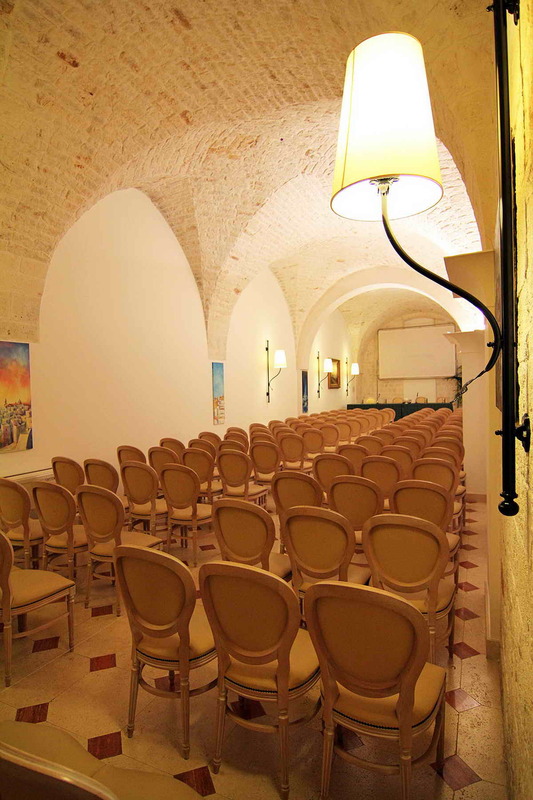 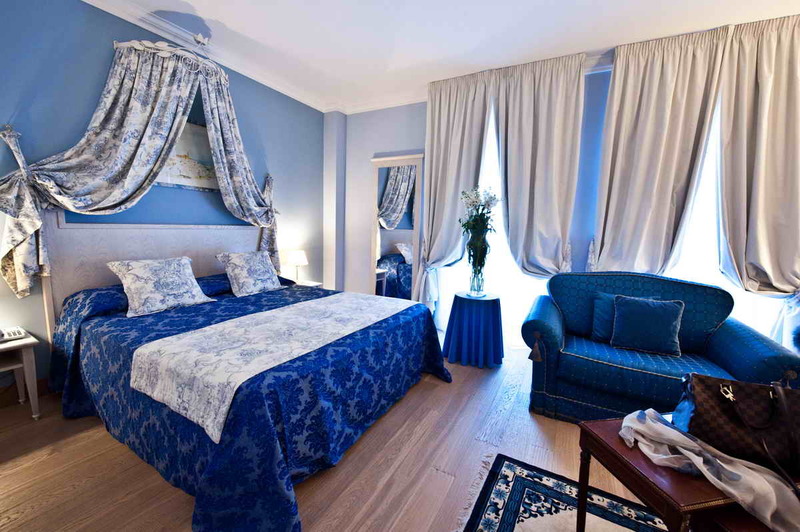 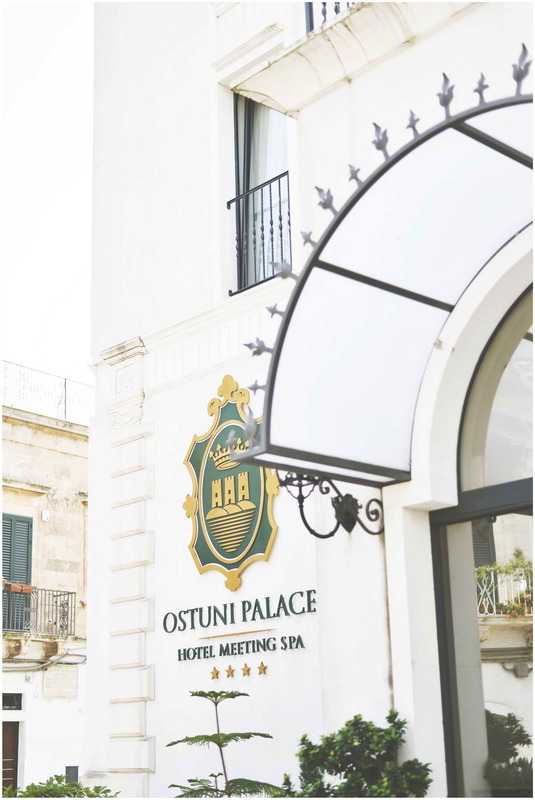 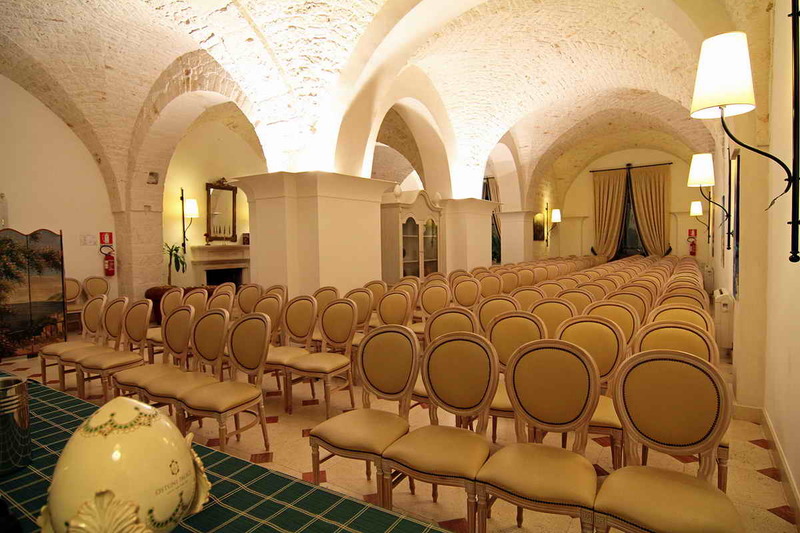 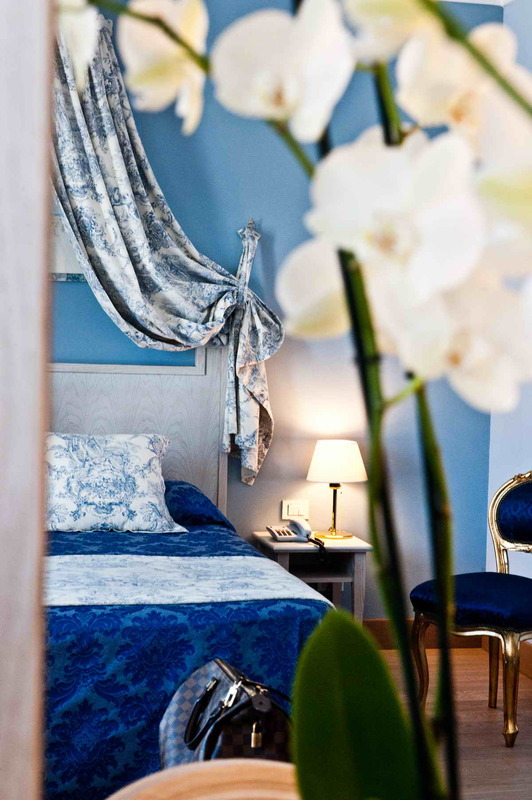 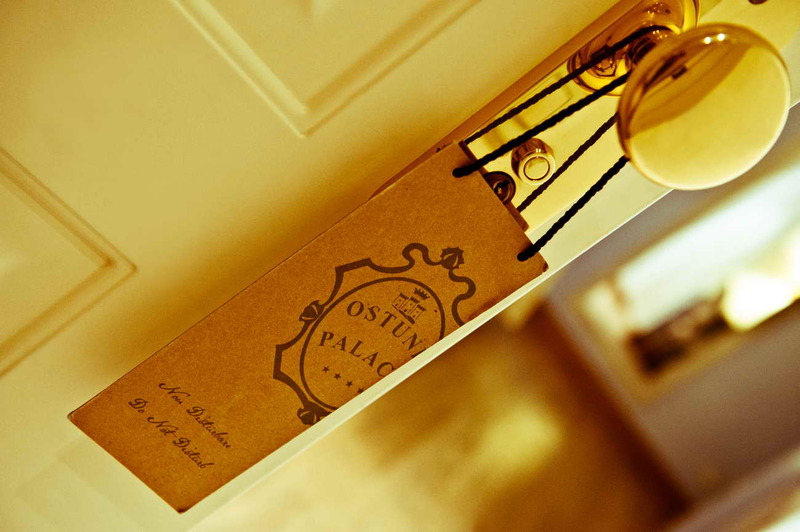 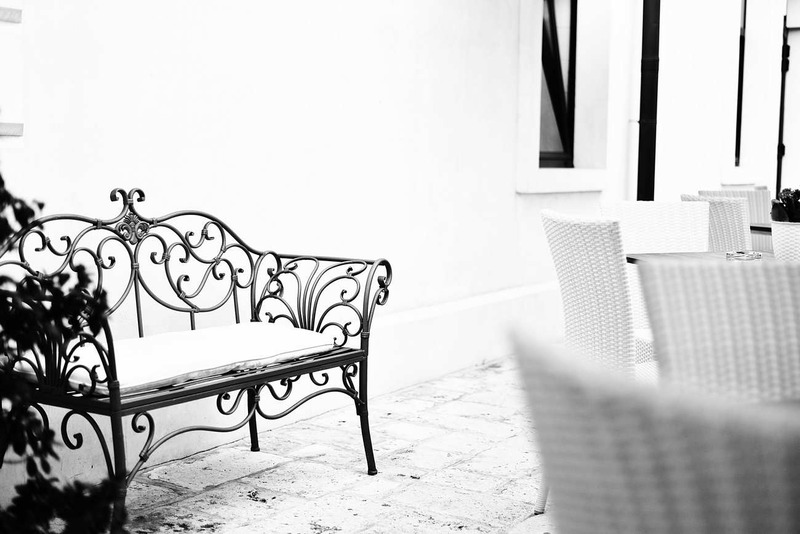 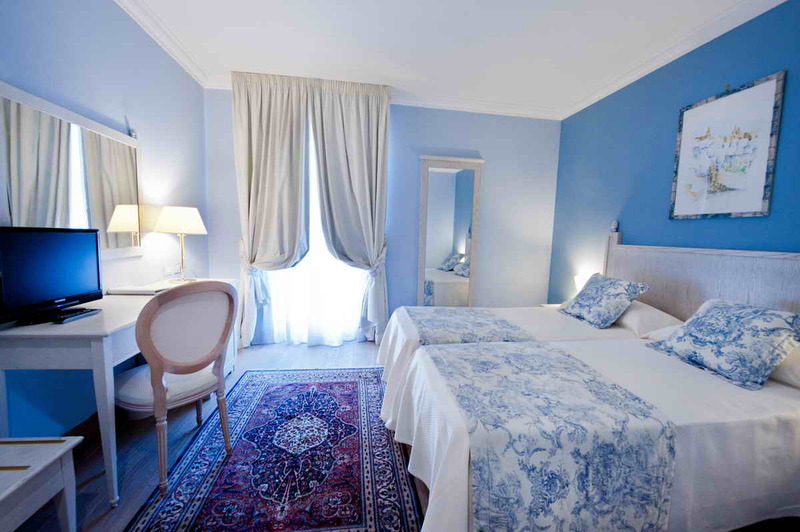 Recently built, the Ostuni Palace Hotel boasts a strategic location from which you can admire the charm of the friendly town situated on a hill full of whitewashed houses and narrow streets by fascinating glimpses. 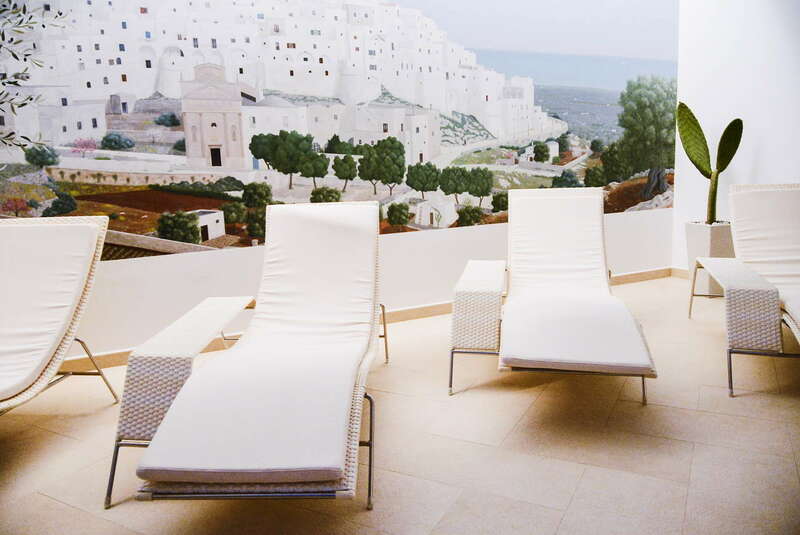 In the background, missed the blue crystalline sea that can be enjoyed by the extraordinary expanse of olive trees surrounding the City. 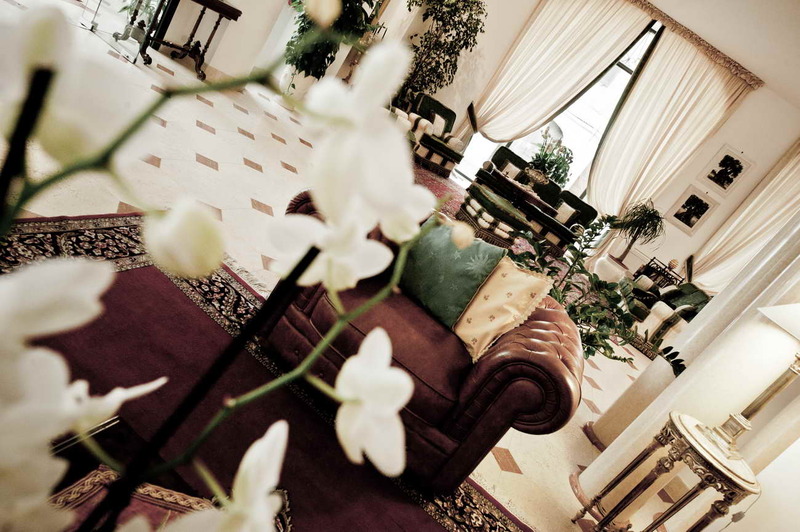 Strong is the call to the territory from majestic ancient olive tree that welcomes you at the entrance of the structure up to the atmosphere created by the exquisite furnishings that welcome you. 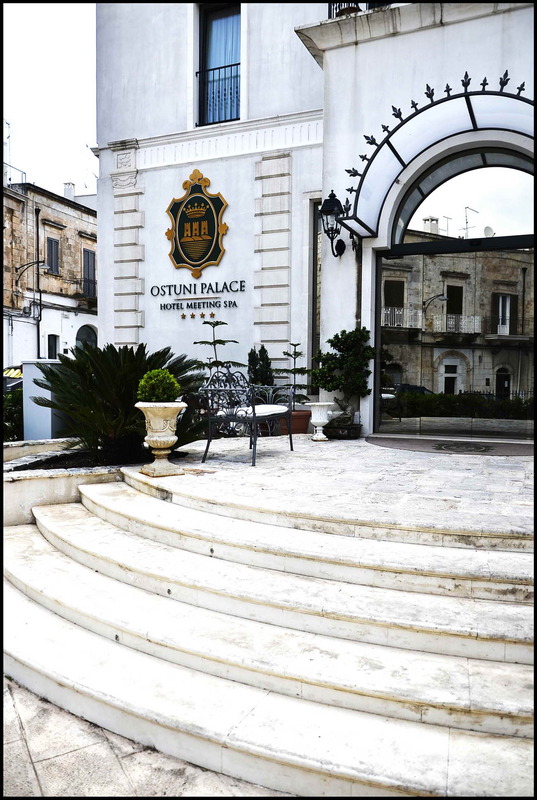 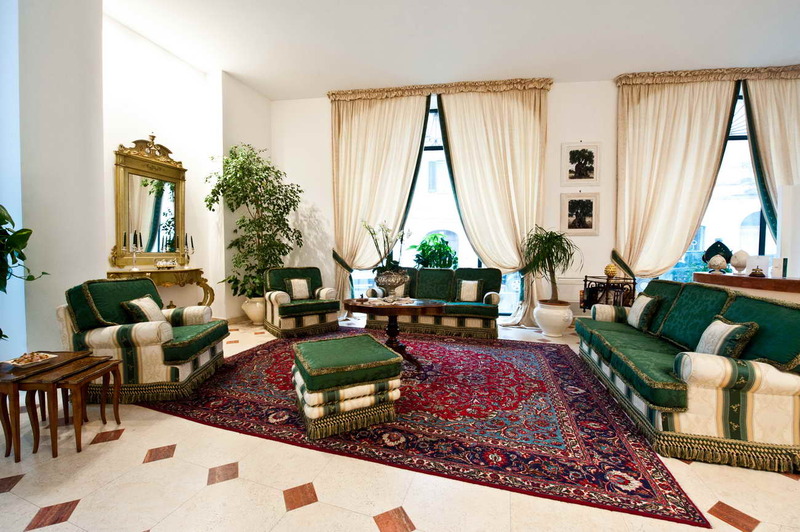 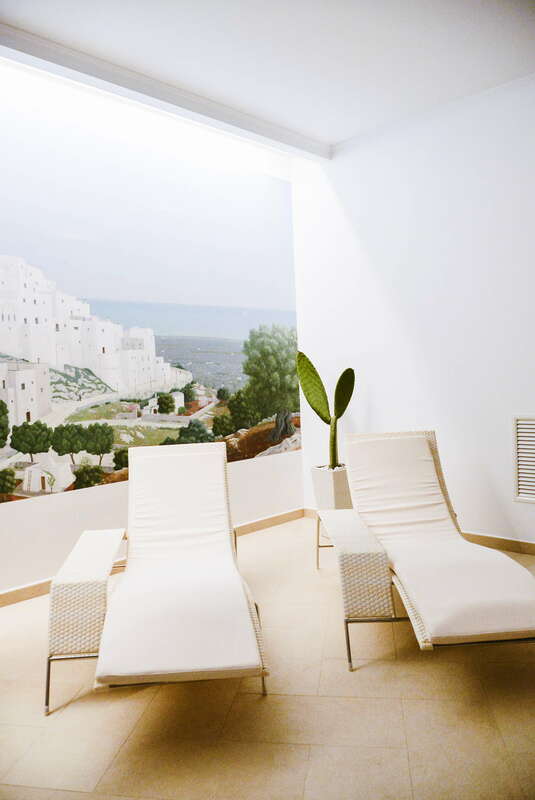 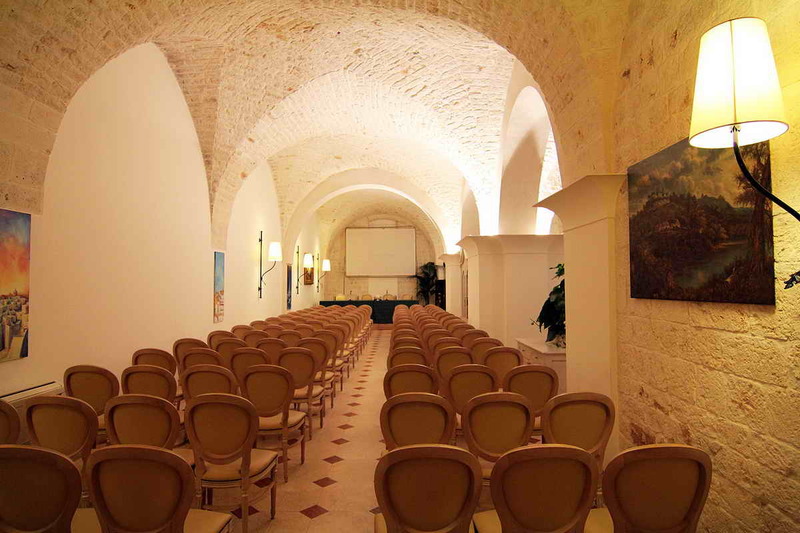 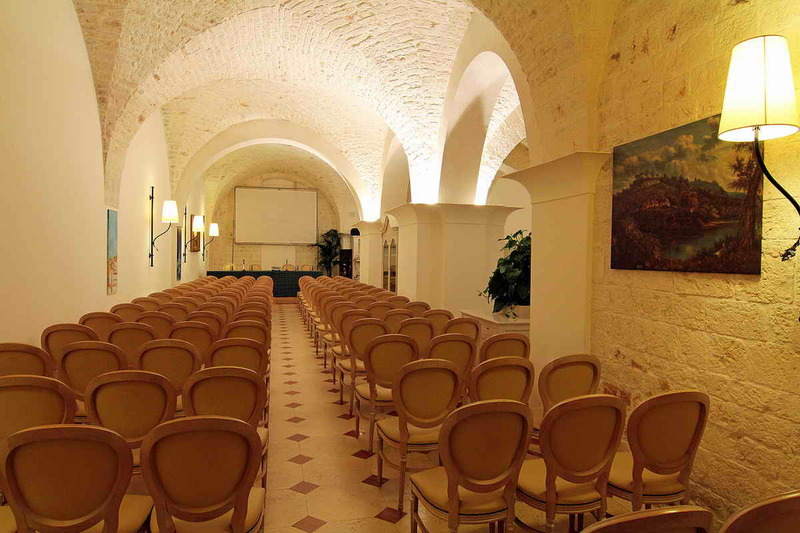 Large lobby with sofas for reading regenerating and a great stopping point that will enhance your stay at Ostuni Palace. 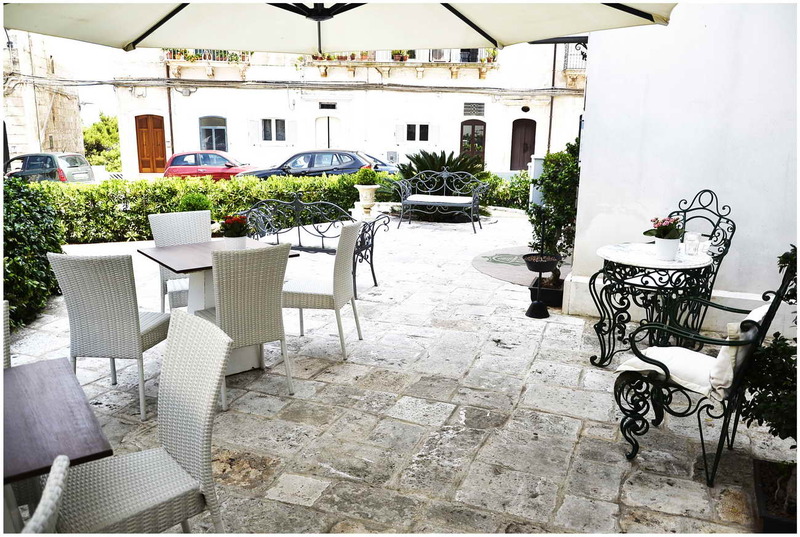 The Palace Cafe is available to guests for quick snacks, rich breakfast or light lunch paused job offers during the winter season, a variety of tea, herbal teas and infusions perfect for a relaxing break in the summer refreshing drinks, cocktails with finger food or cocktails at sunset can be enjoyed on the terrace overlooking the white Ostuni with the magical atmosphere of the background music. 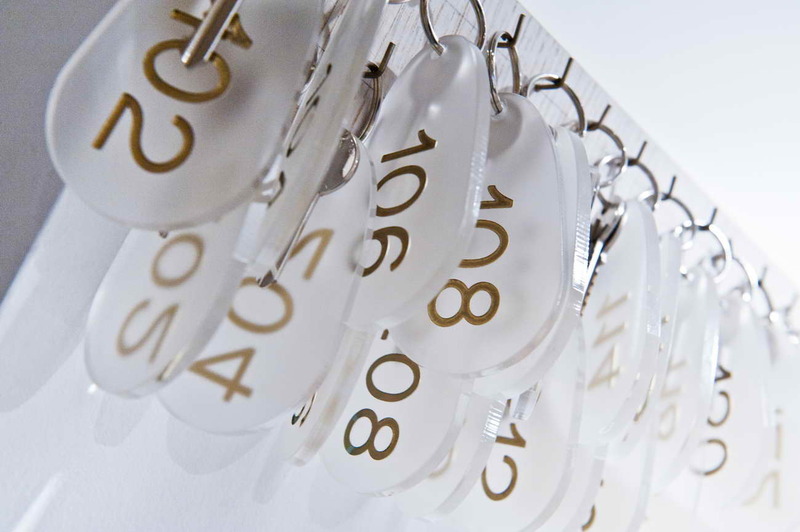 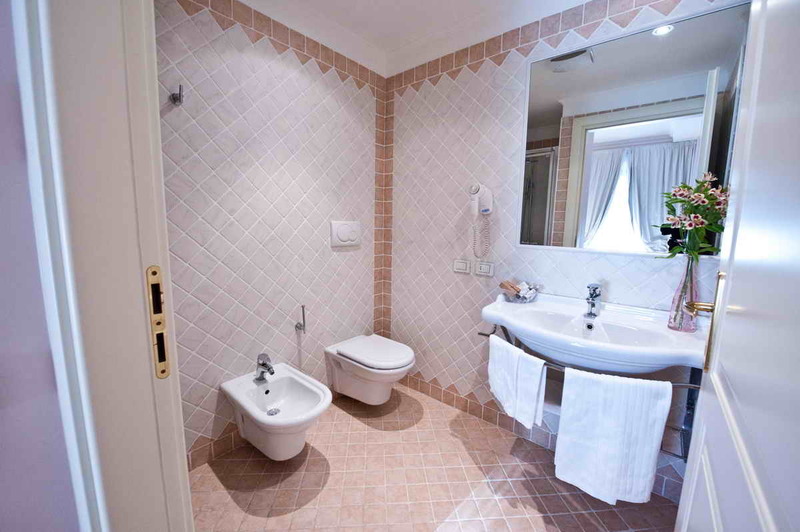 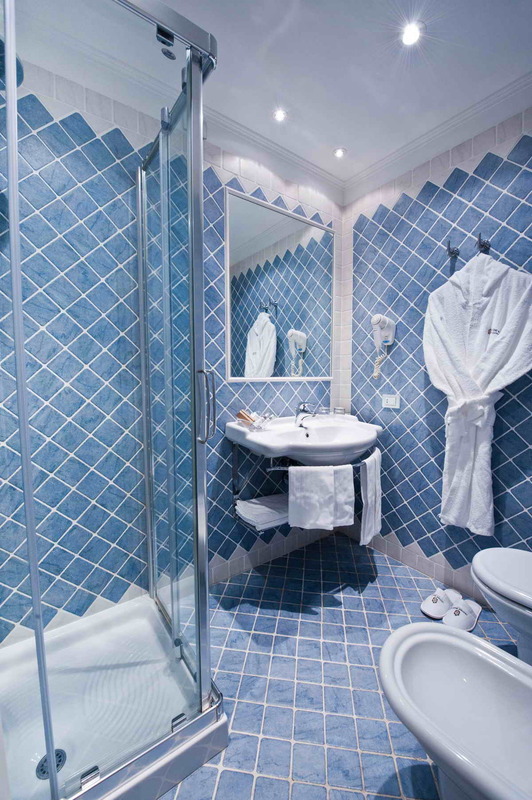 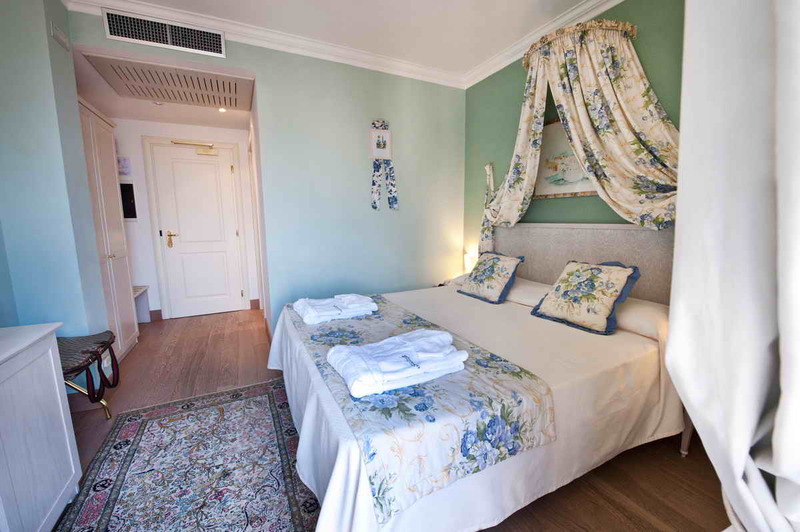 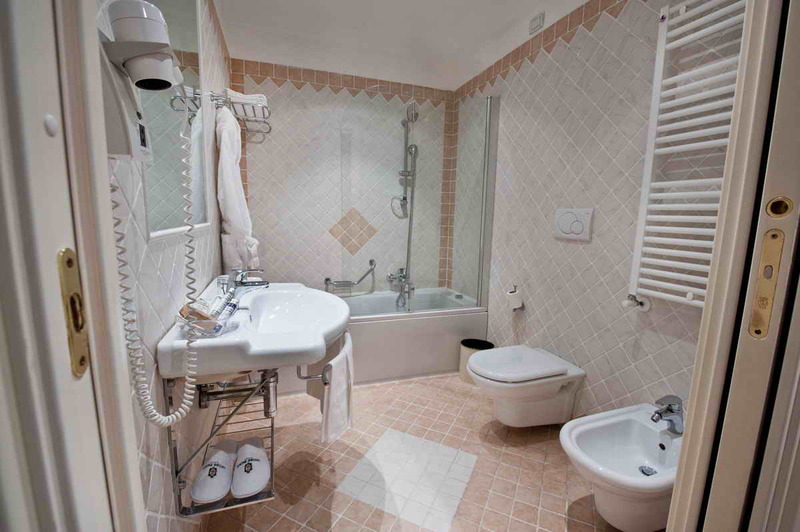 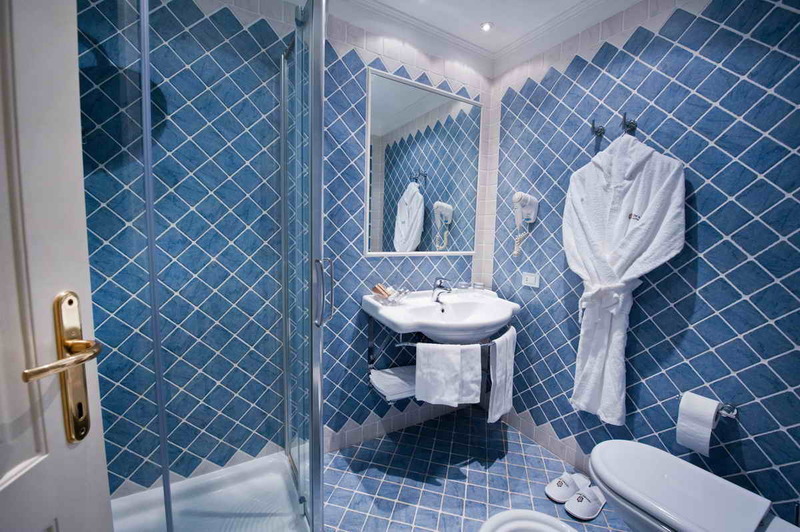 The 34 rooms are a combination of simplicity and elegance. 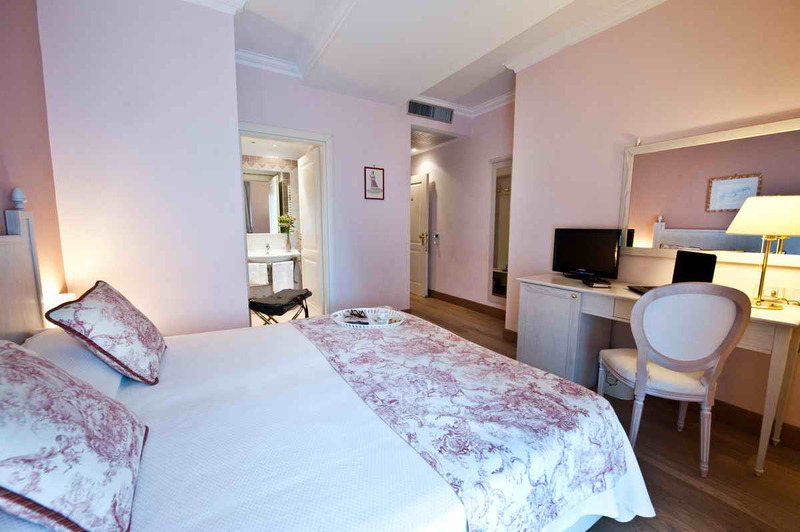 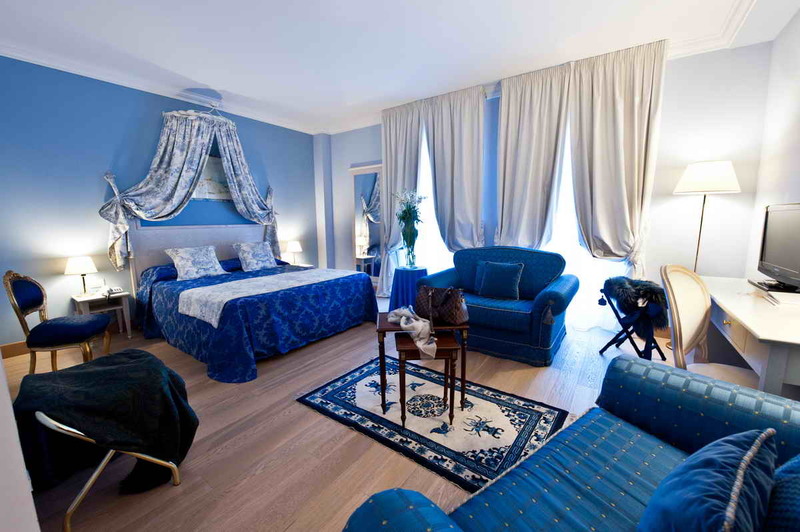 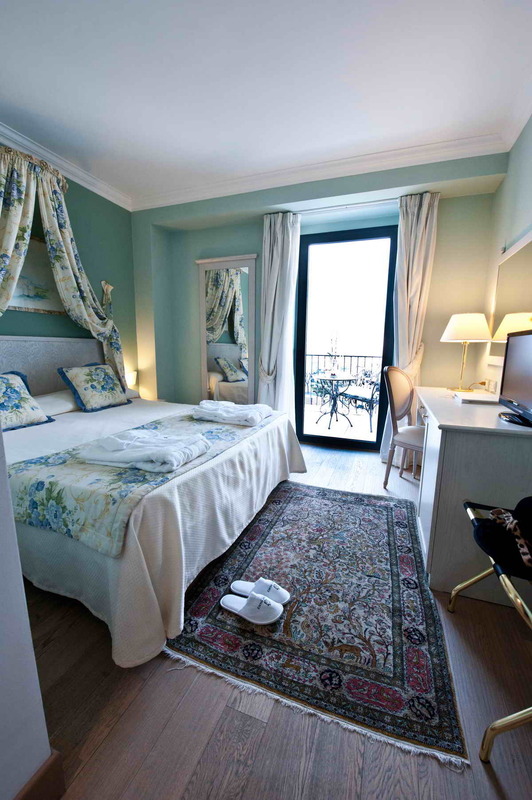 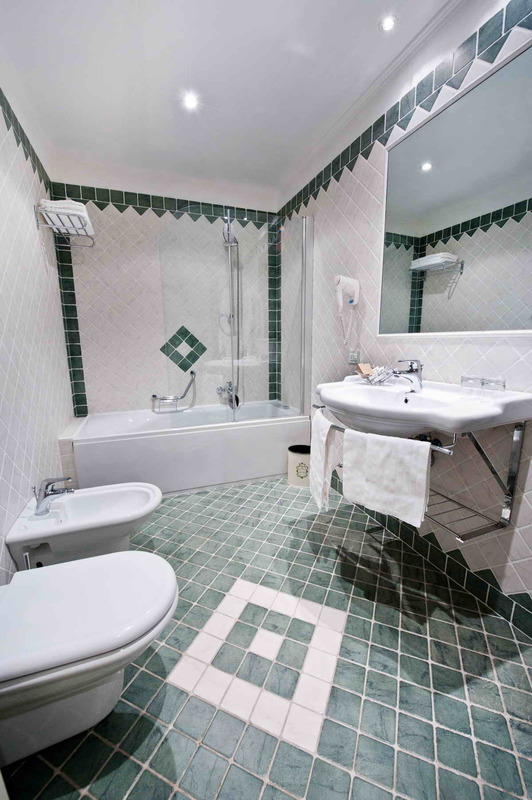 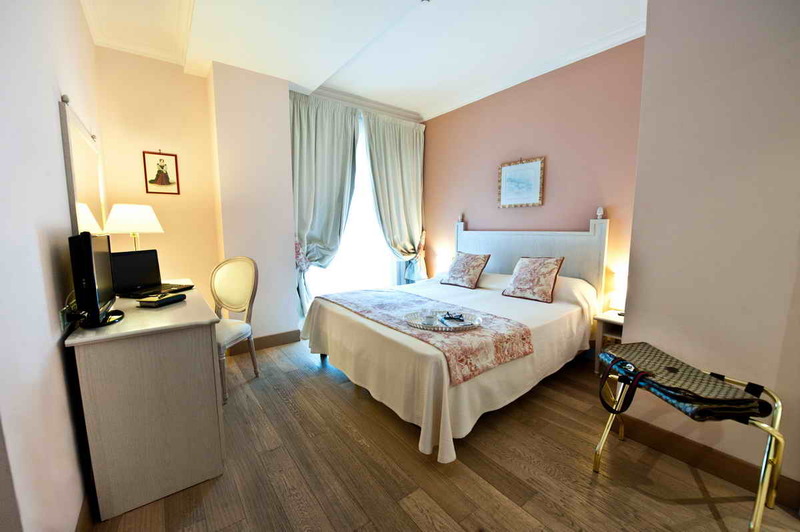 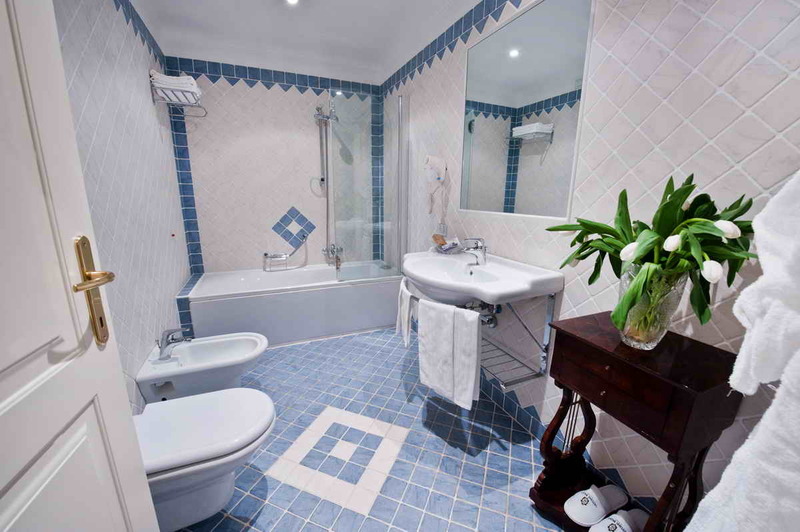 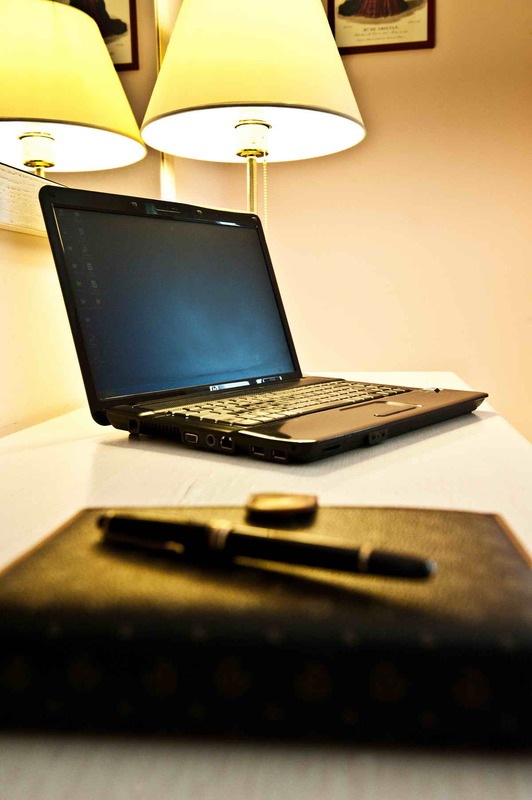 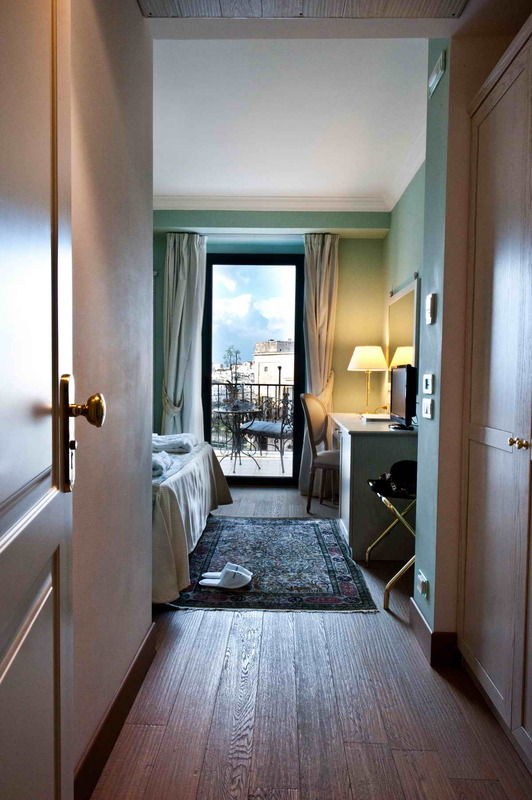 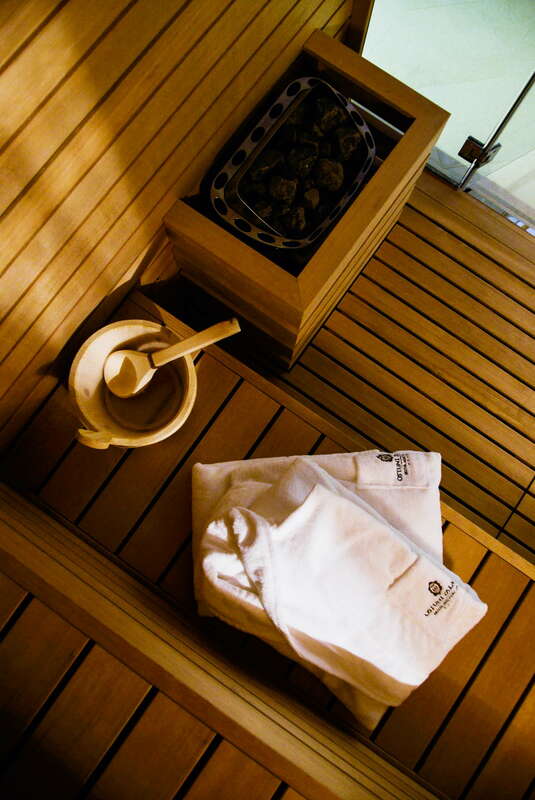 STANDARD rooms offer functional and comfortable stay in tranquility. 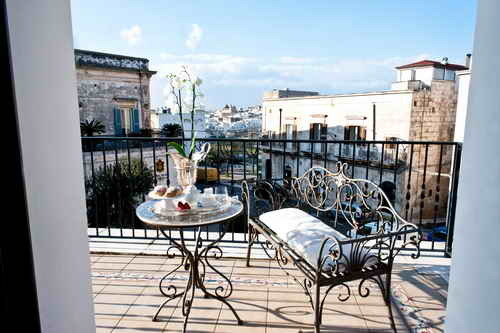 Some of these rooms with TERRACE, have adjoining outdoor relaxation area, where relax on the comfortable sofa. 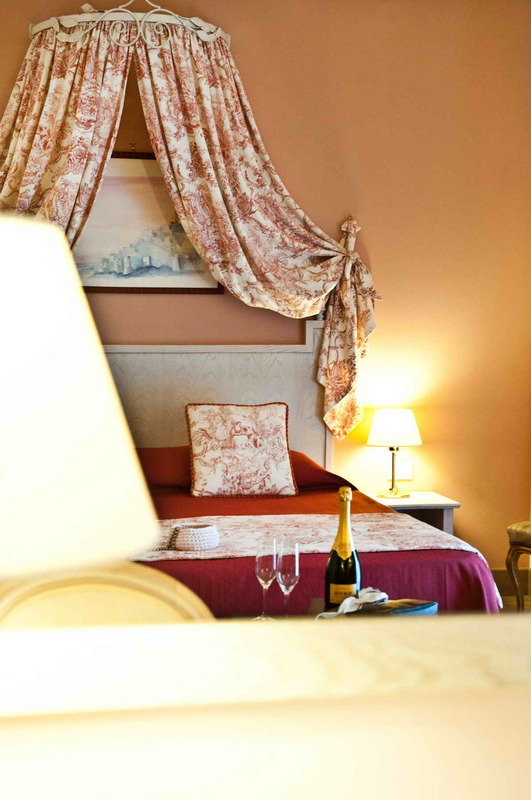 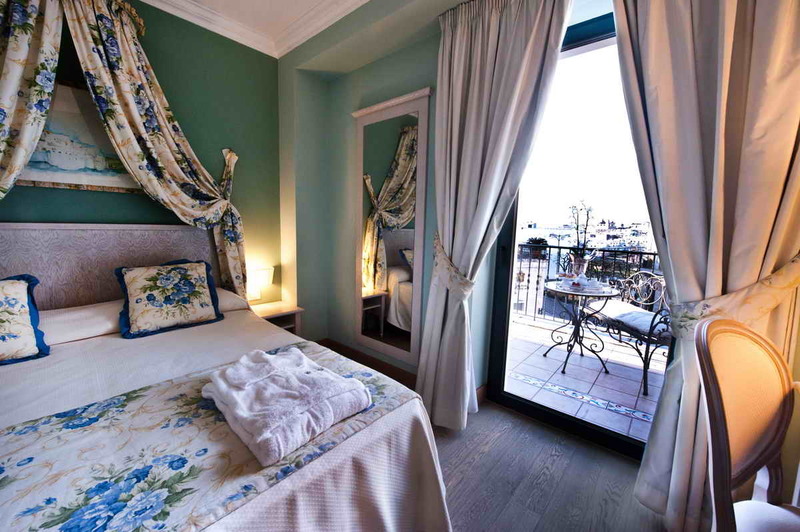 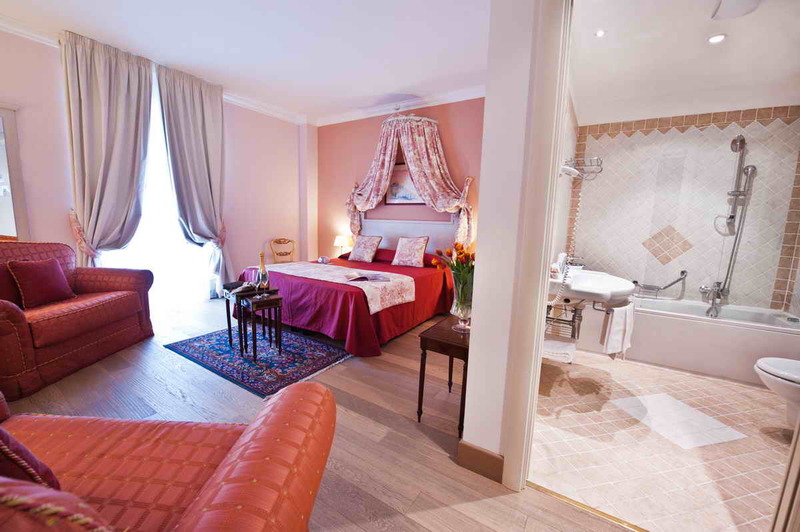 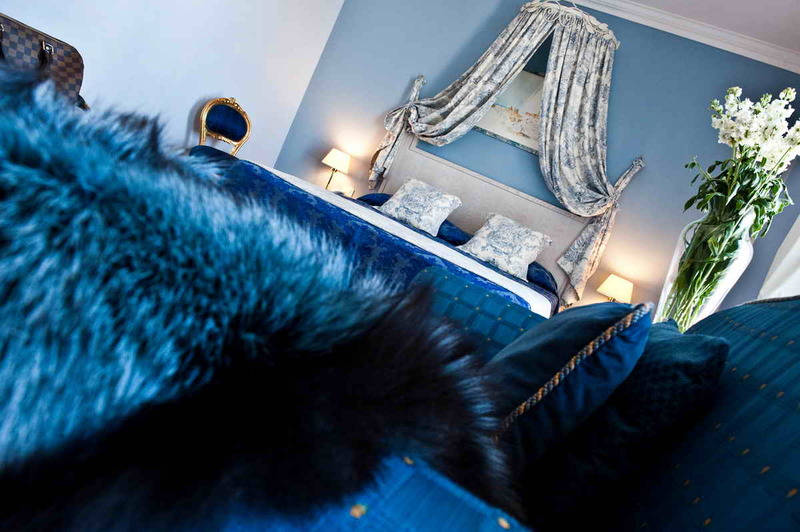 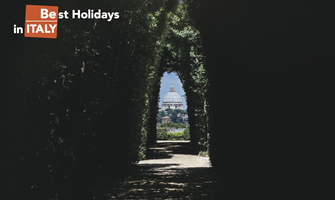 The romantic rooms with views, overlooking enjoy postcard views of the historic centre, and only one of whom has a private balcony for breakfast or why not dine in privacy. 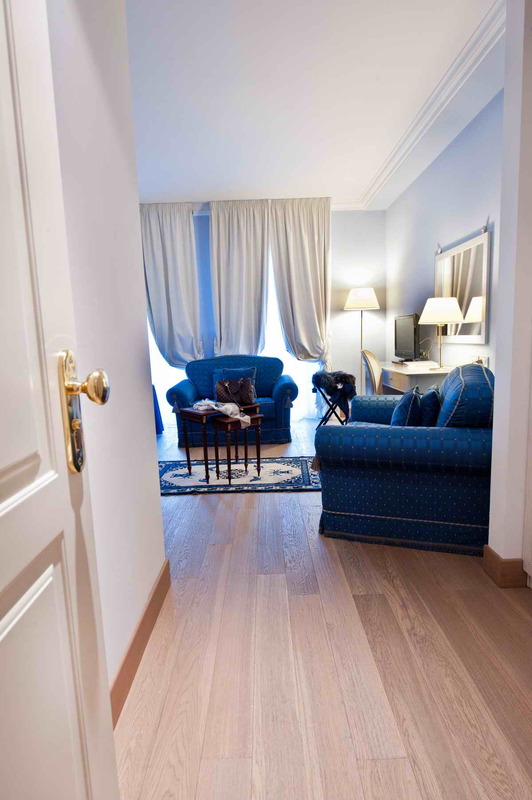 The JUNIOR SUITES, with more space, living room with comfortable sofas, have feelings of well-being and comfort. 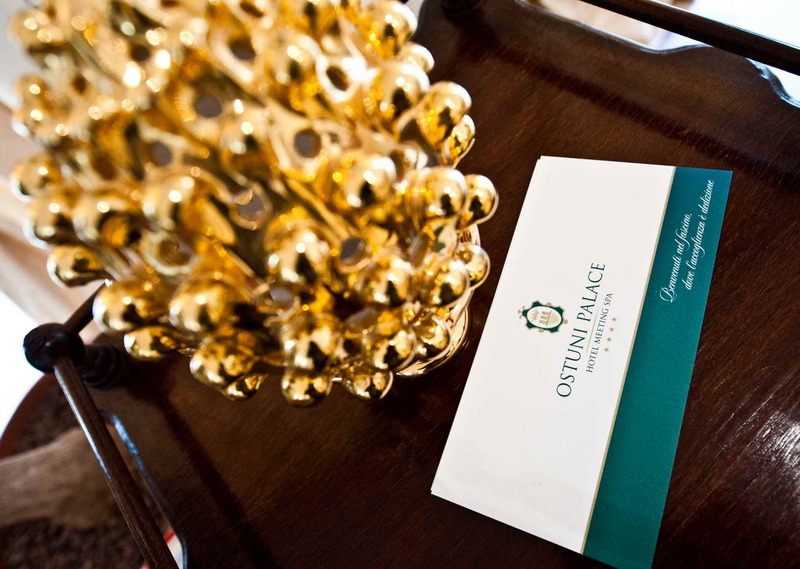 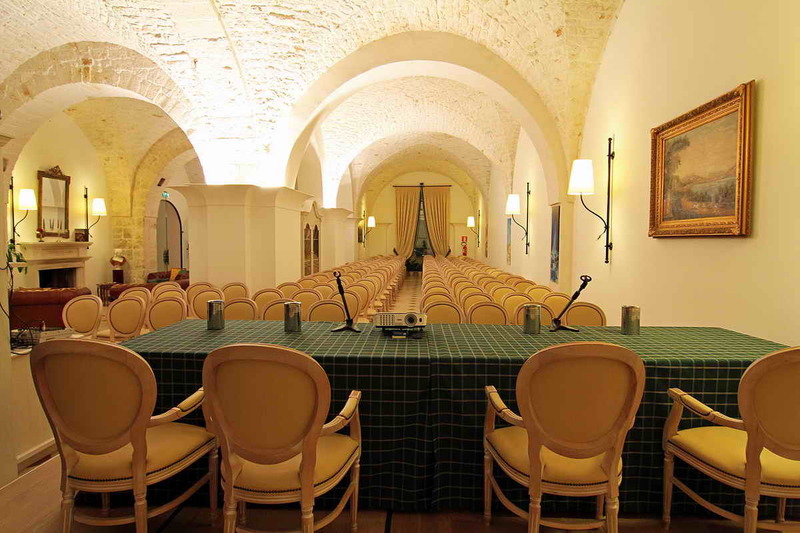 The Ostuni Palace scenario becomes even more enveloping with refined rooms of the Ostuni Palace Bistro, in its fine decorated room. 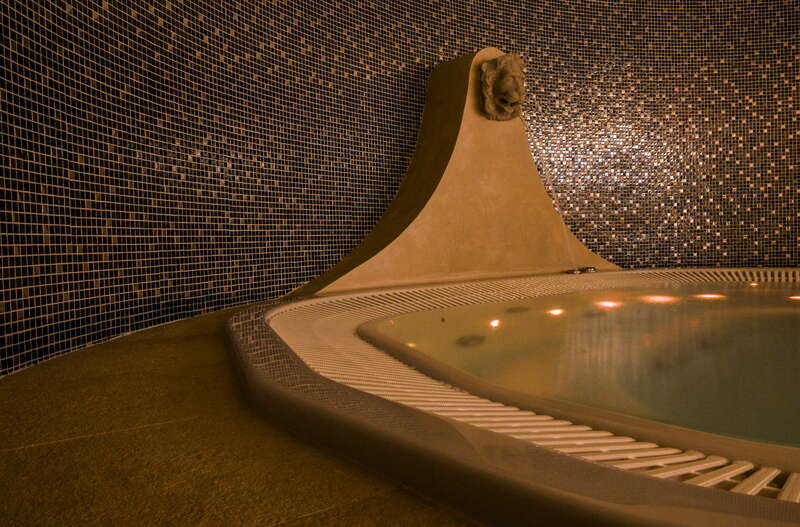 The impressive stone immersed in scents will kidnap You at first glance. 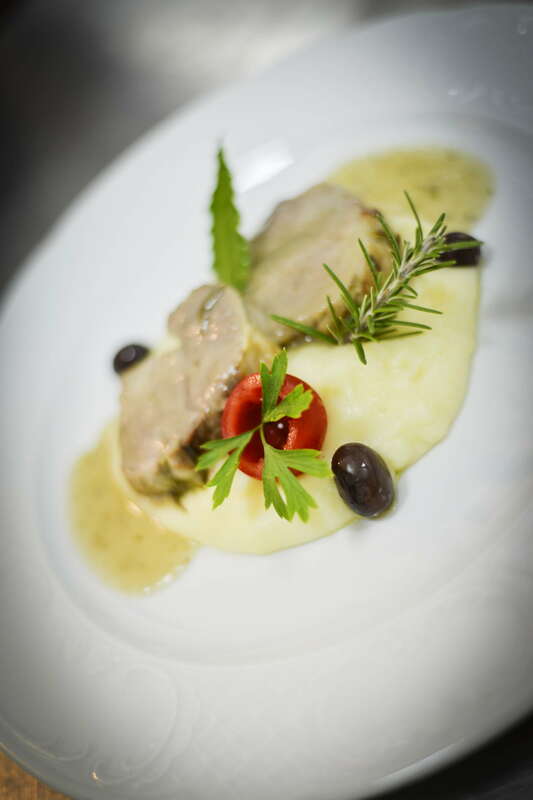 After a busy day of work or a leisurely stroll in the old town, the staff ready to satisfy requests with professionalism and expertise, will make only ones delighting moments with local delicacies and traditional dishes. 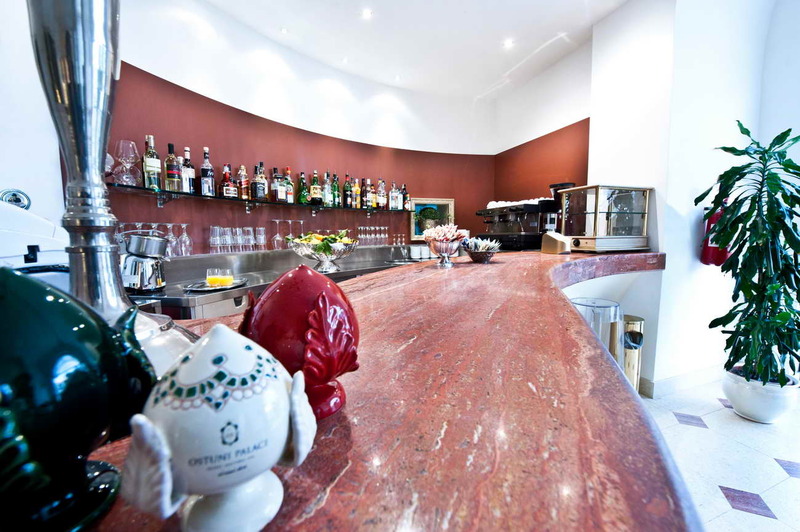 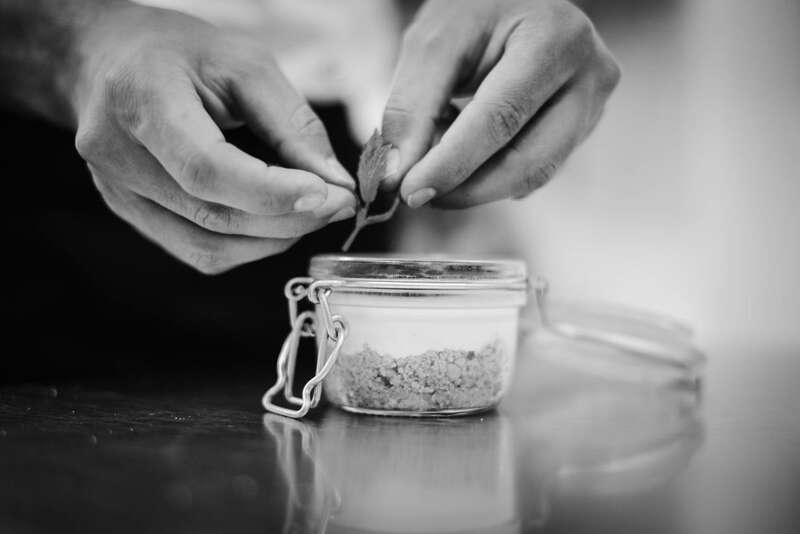 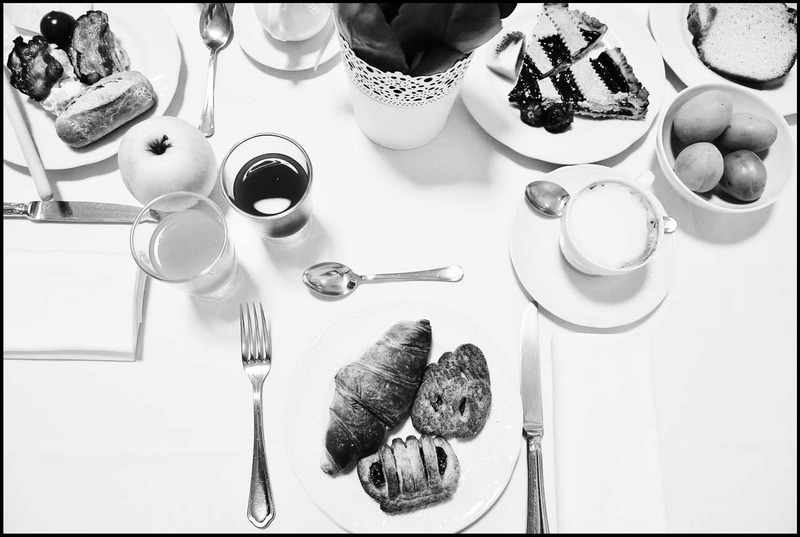 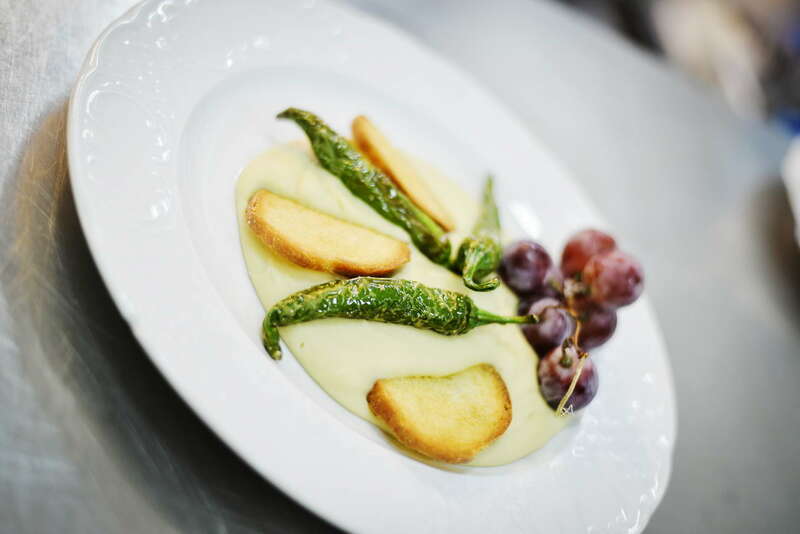 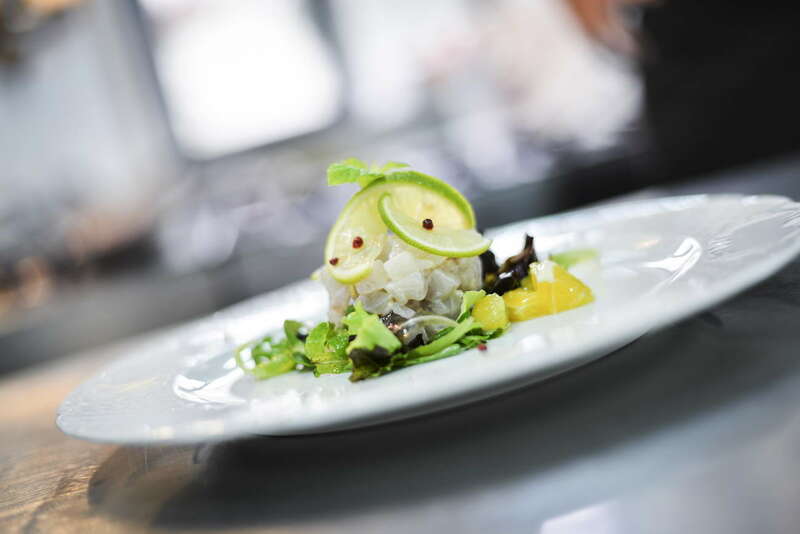 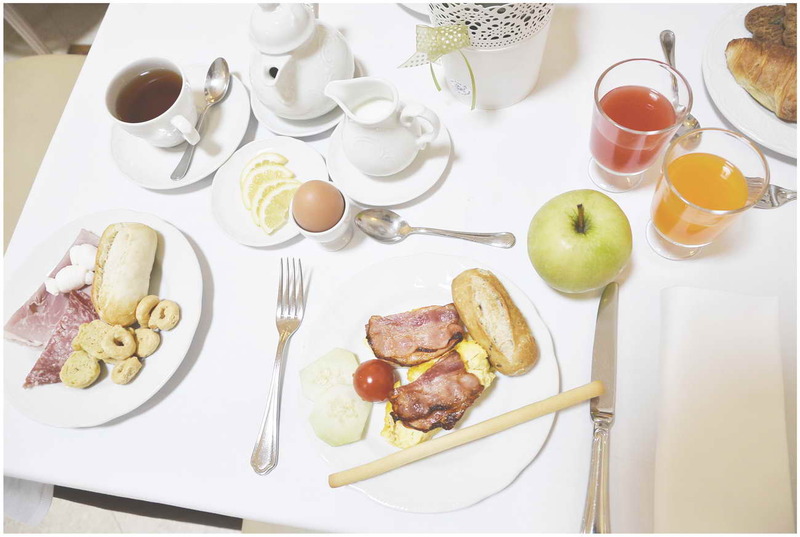 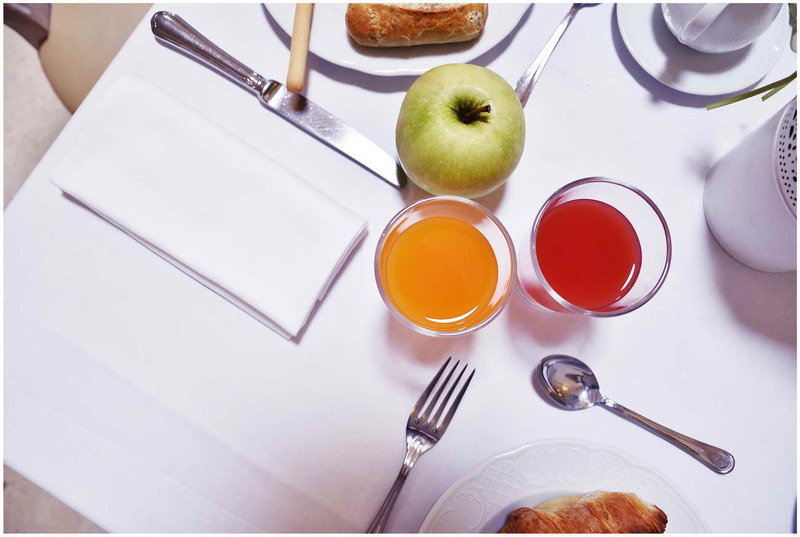 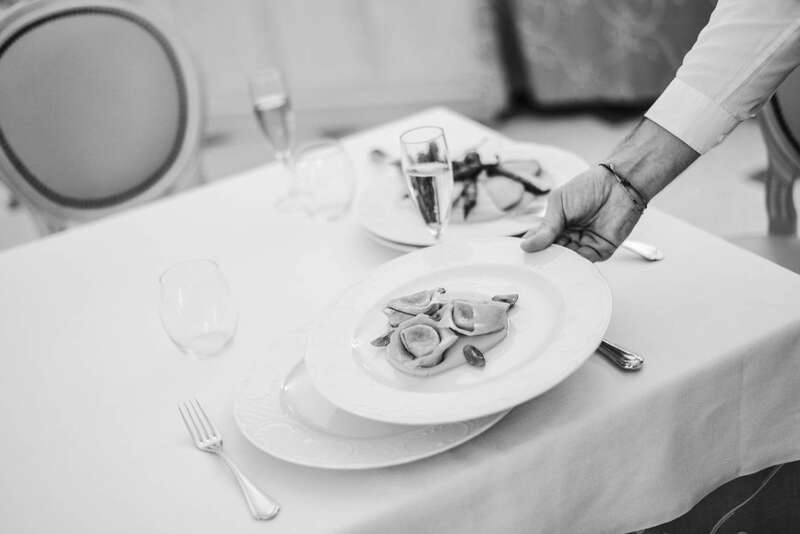 A pleasure not only for the palate but also for the eyes, combined with attentive service. 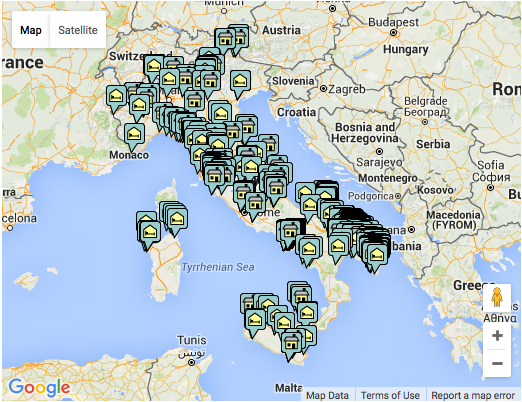 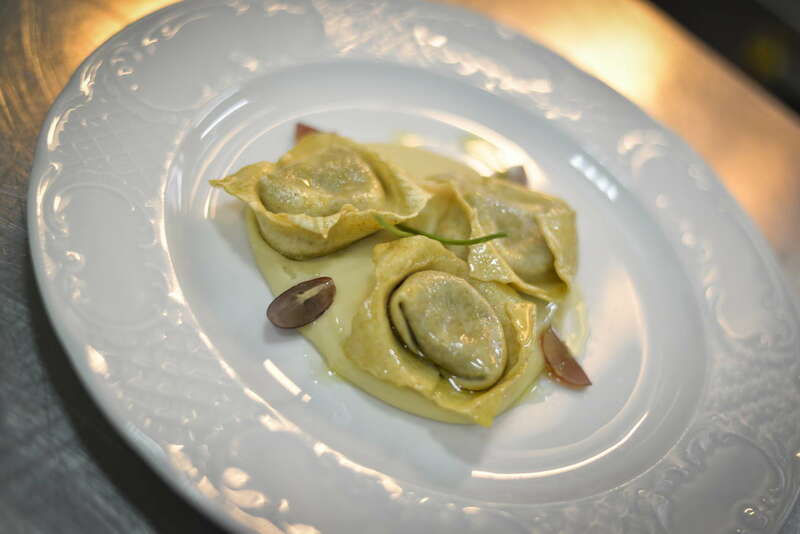 Our menus combine pasta, meat, fish and vegetables enriched with fine taste olive oil of our land. 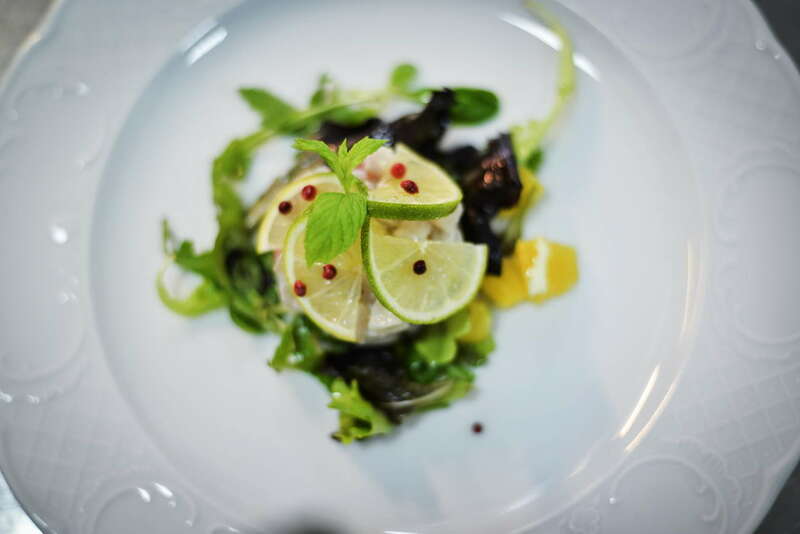 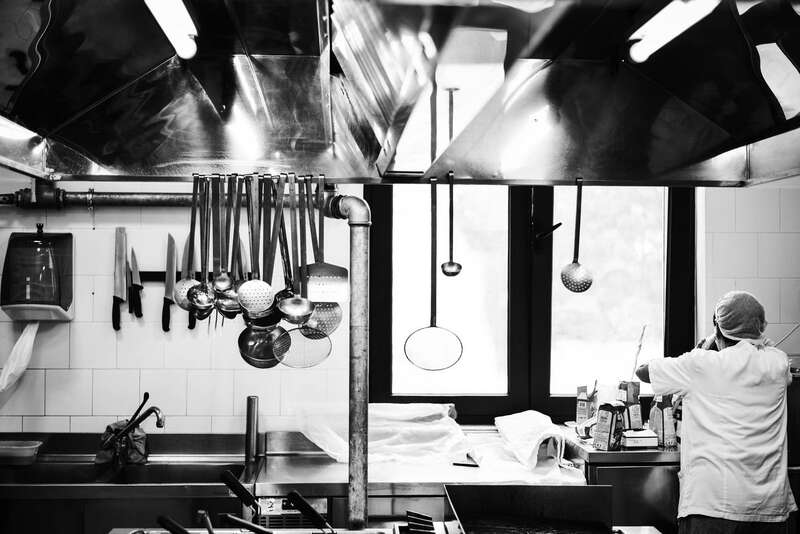 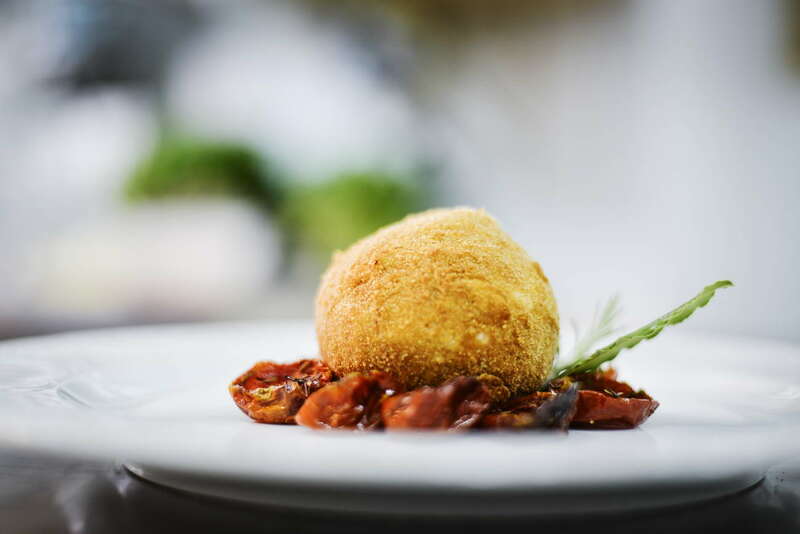 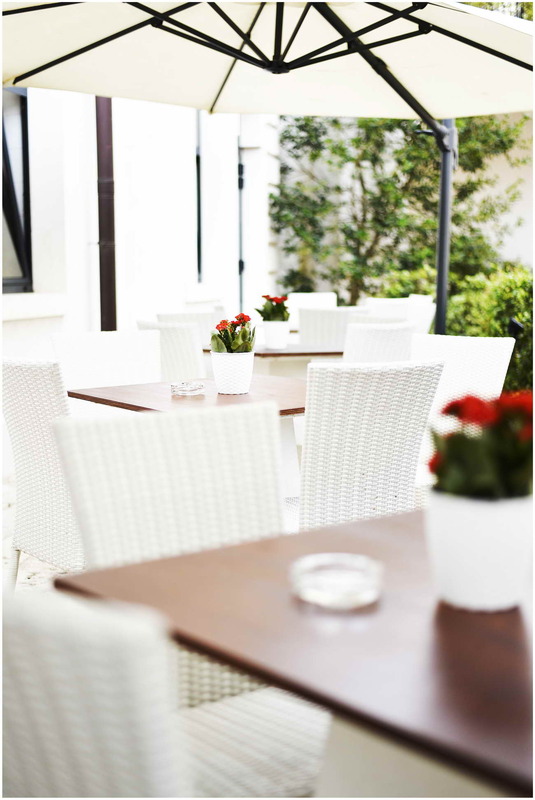 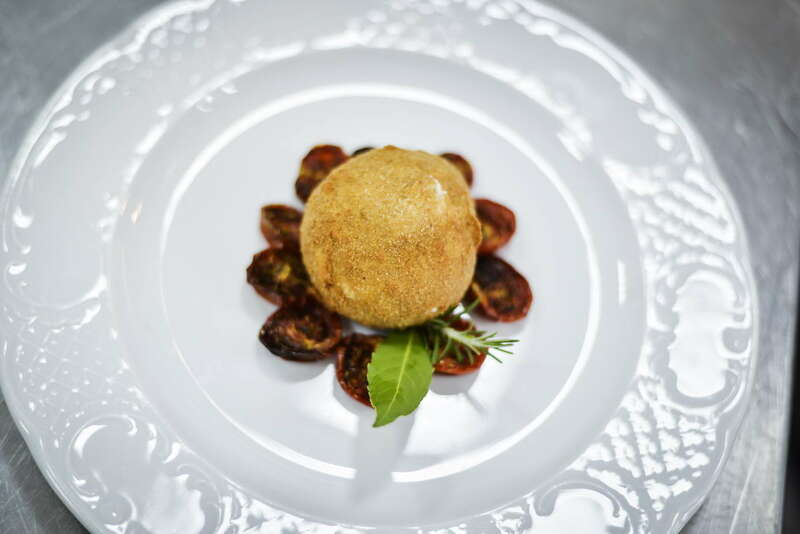 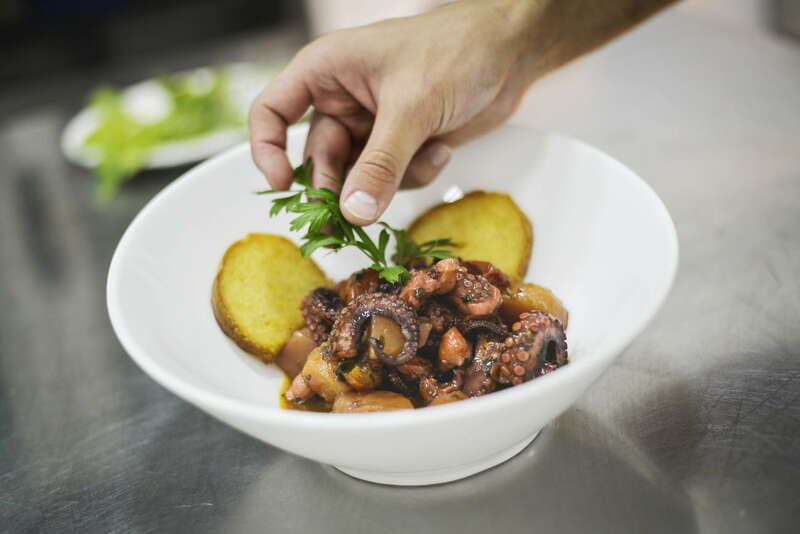 Always looking for the right combination of cuisine and innovation, Ostuni Palace restaurant Bistro is an ideal starting point to discover the flavors of our tradition. 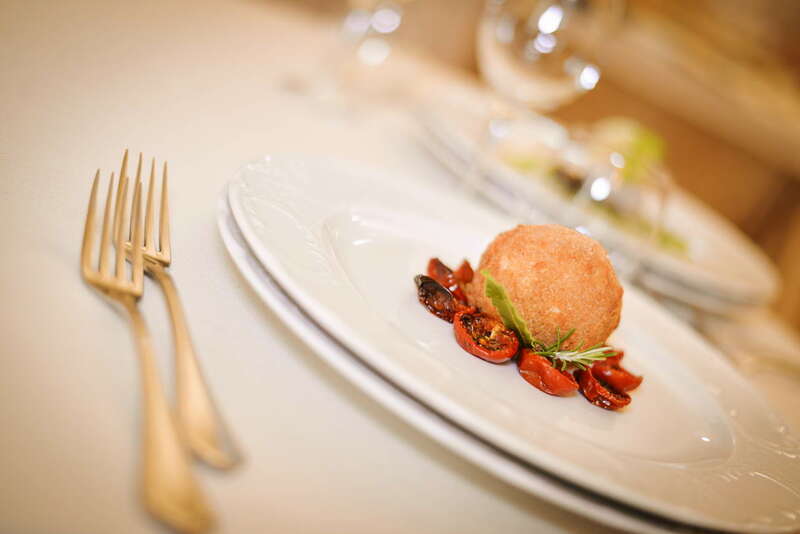 Ideal location for business dinners, lunch buffets, banquets or celebrate important occasions in an intimate but casual at the same time, becomes also the scene of exclusive events. 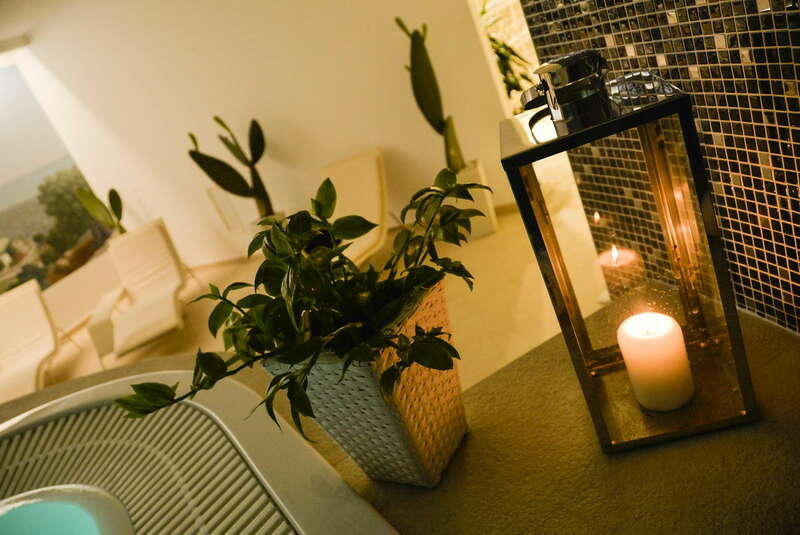 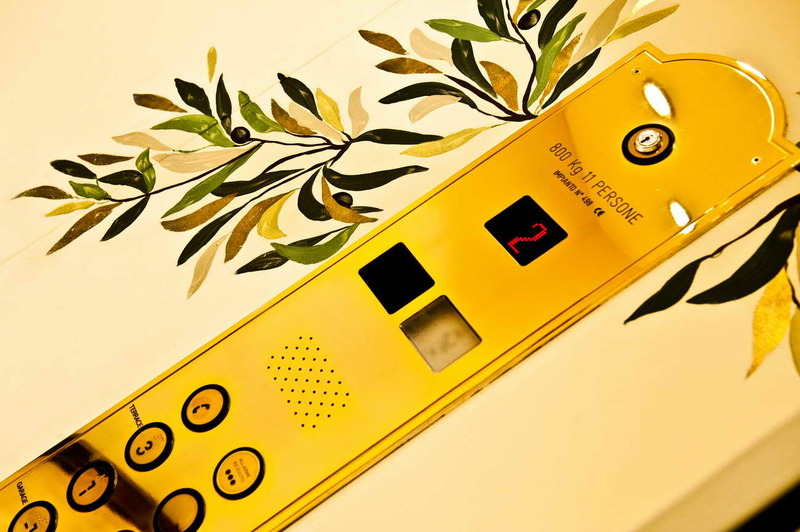 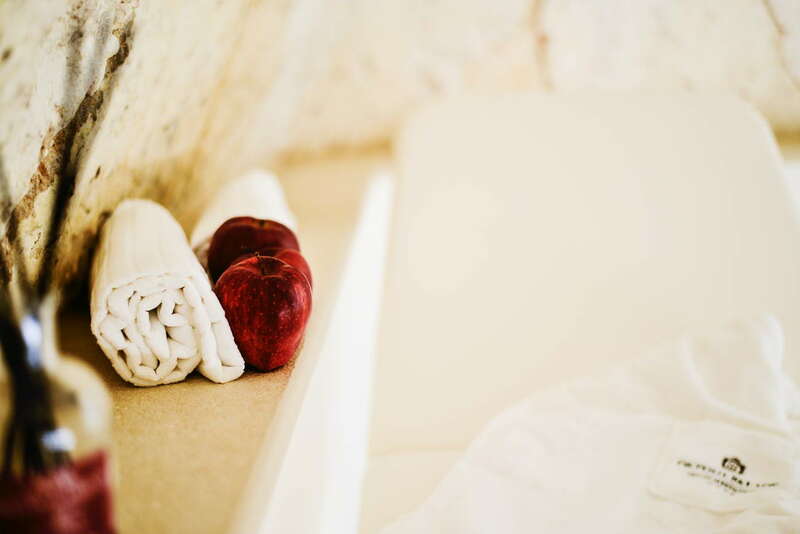 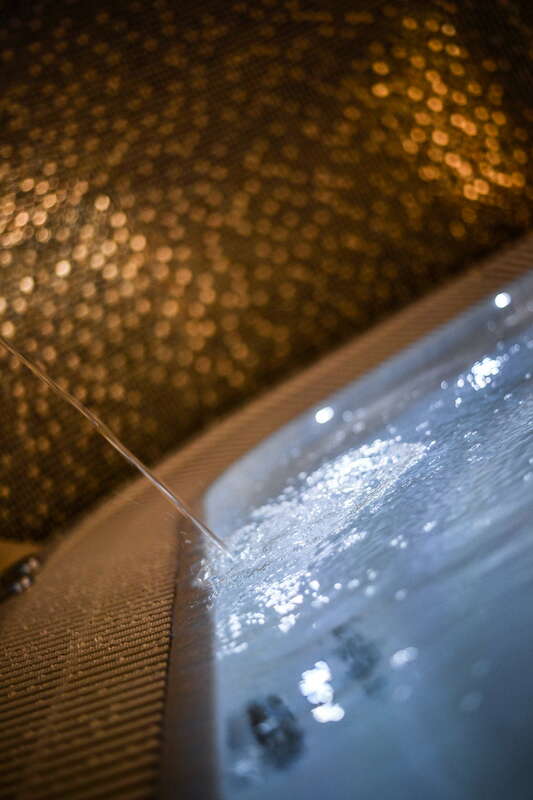 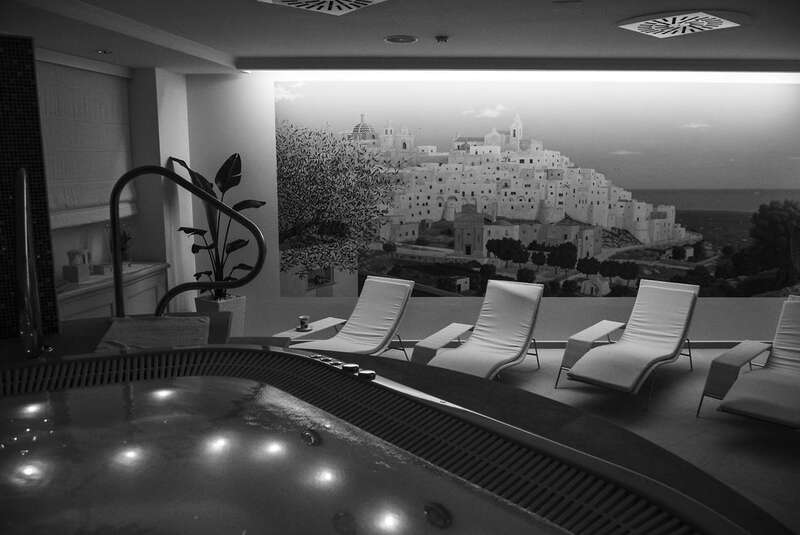 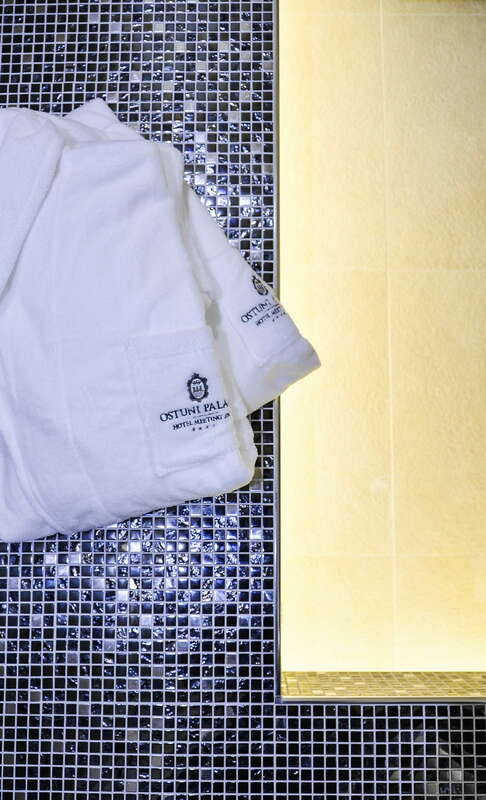 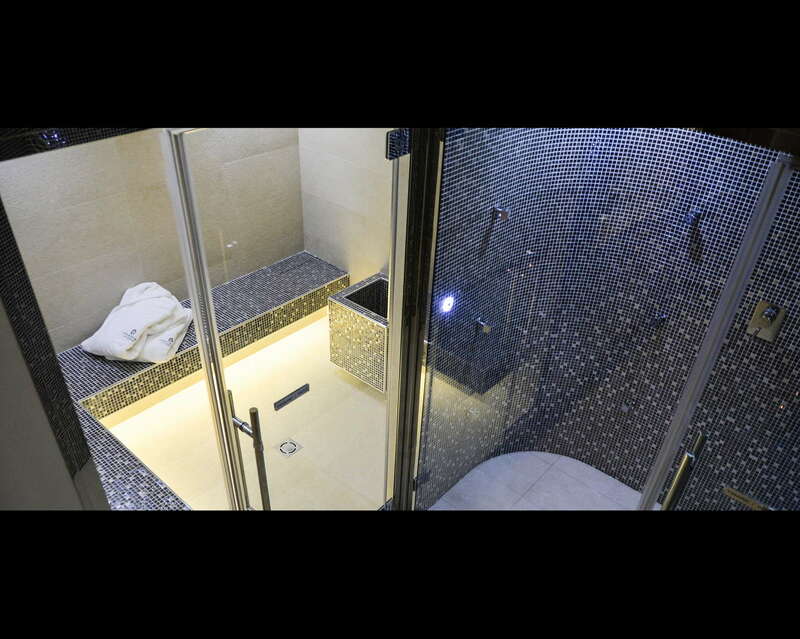 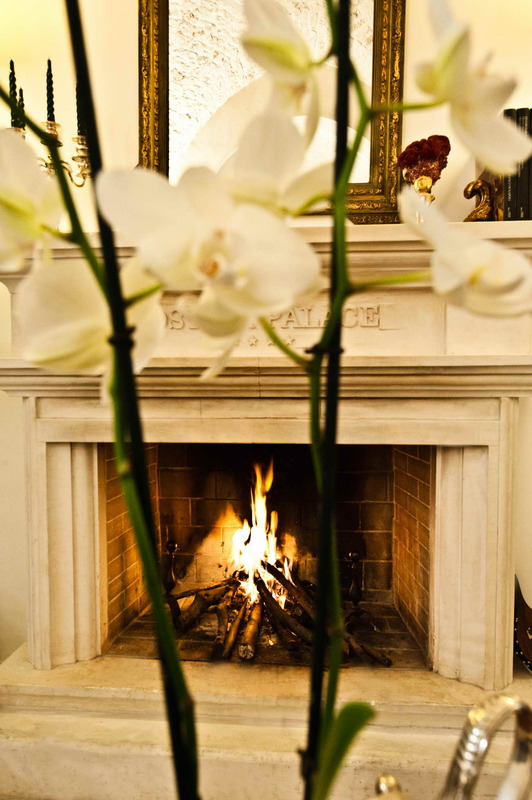 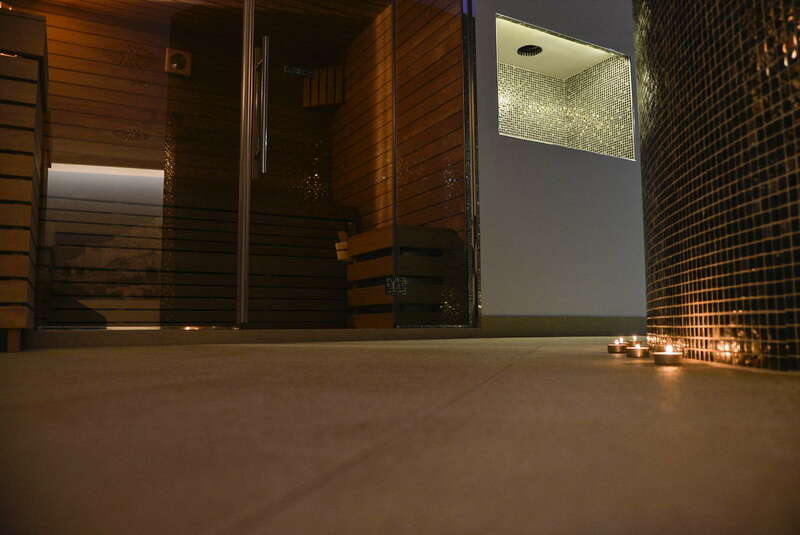 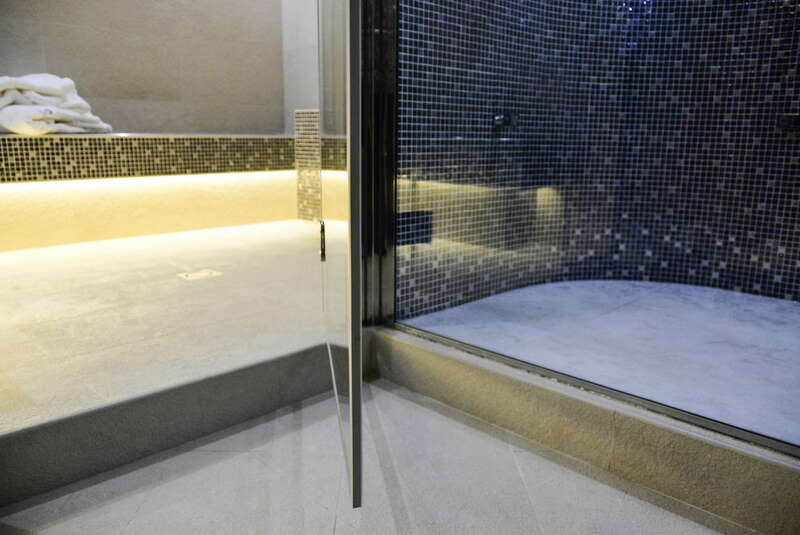 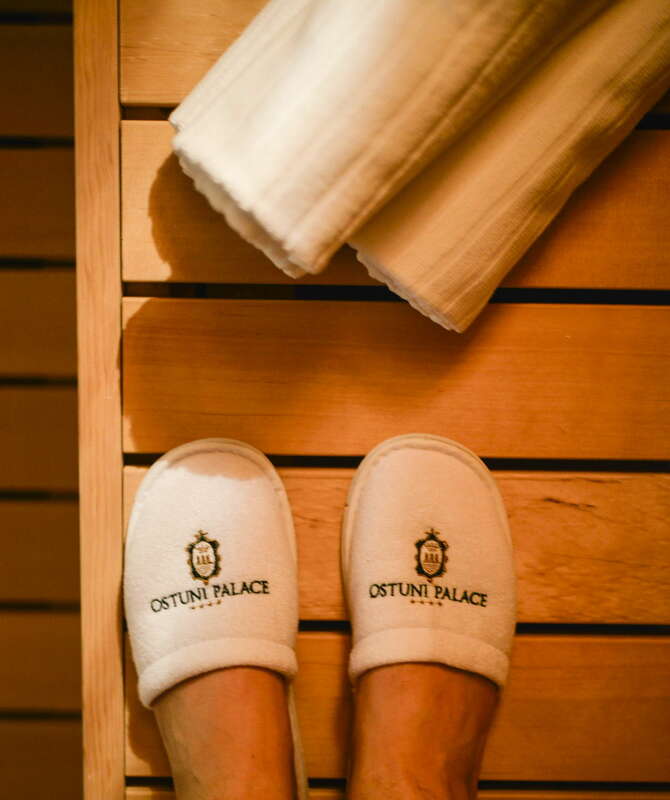 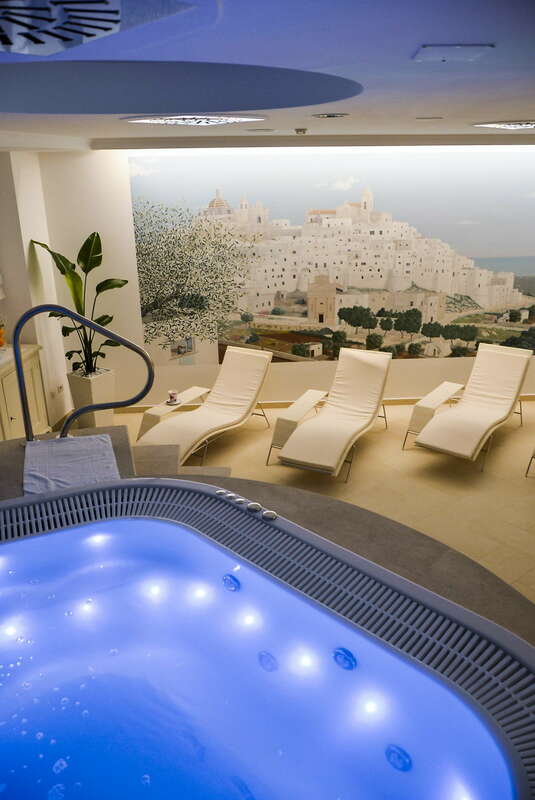 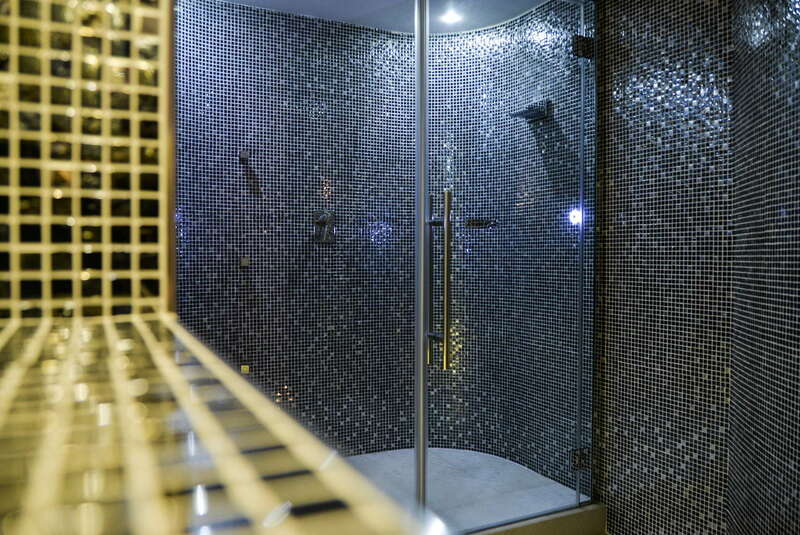 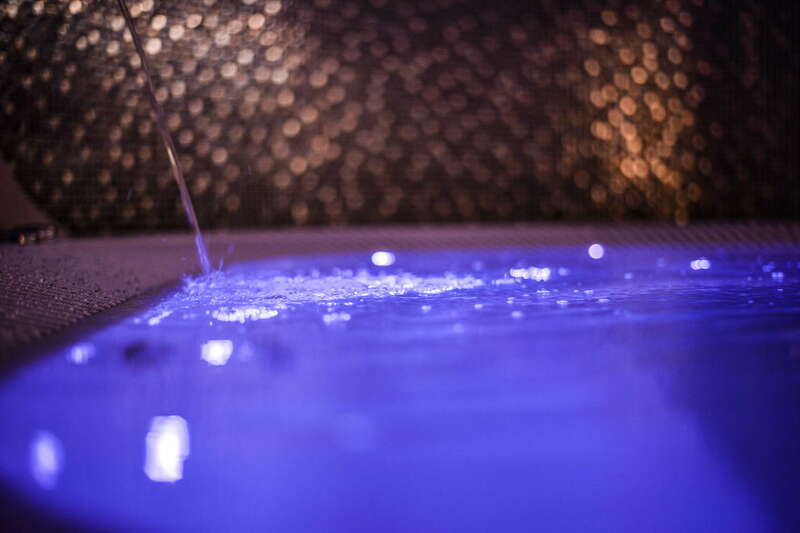 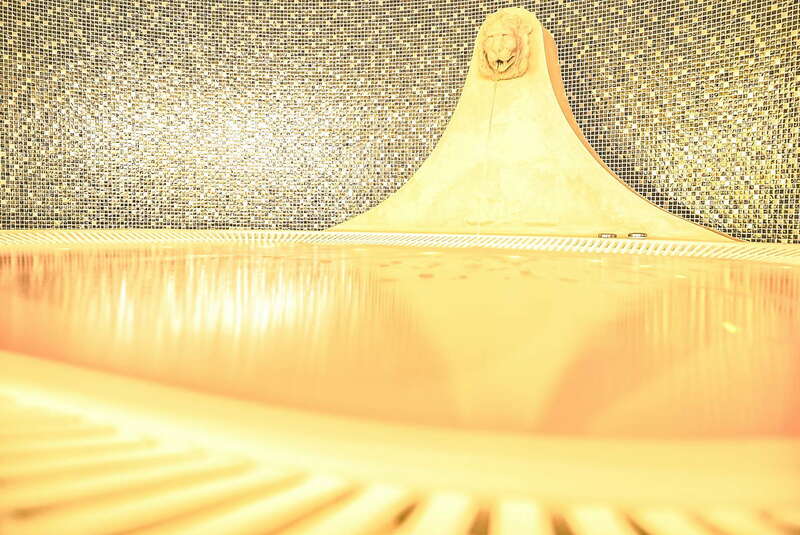 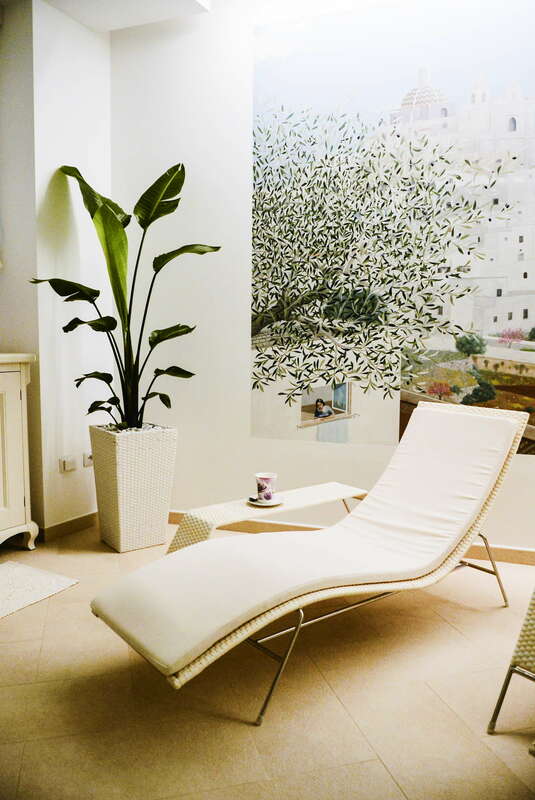 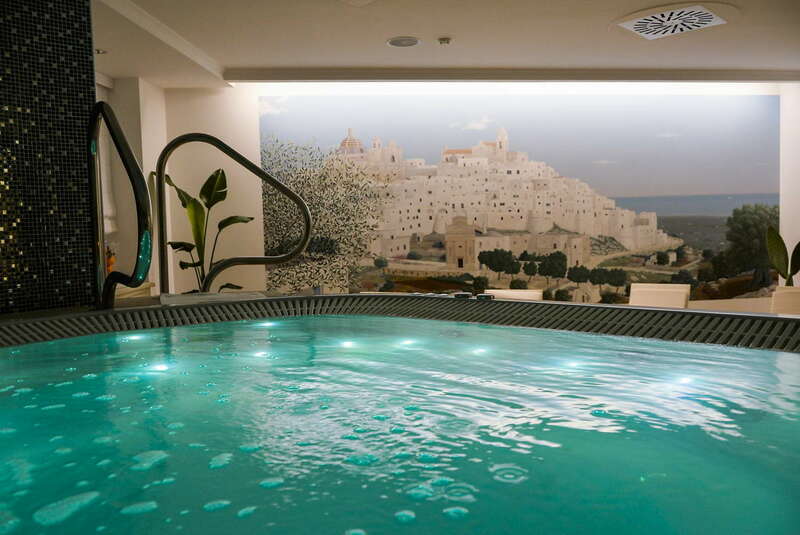 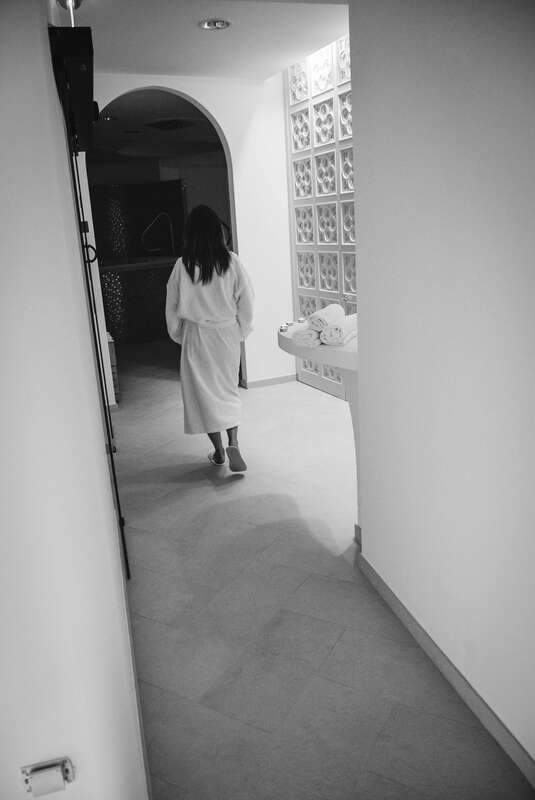 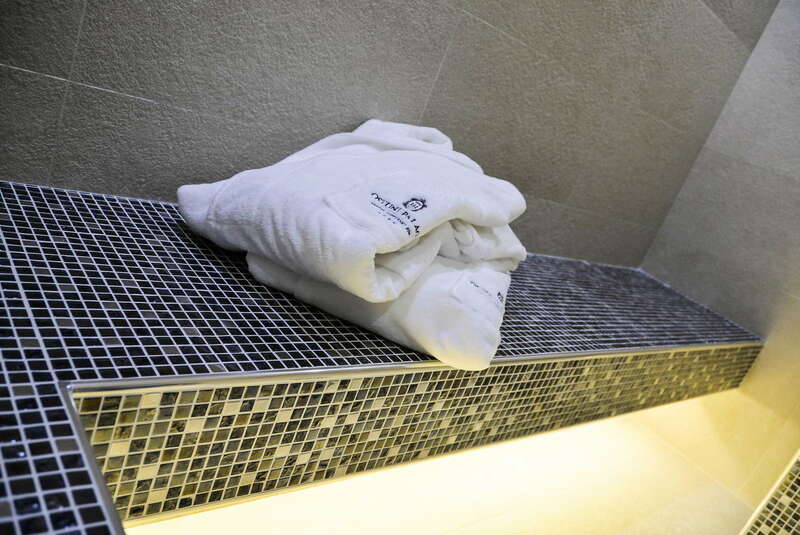 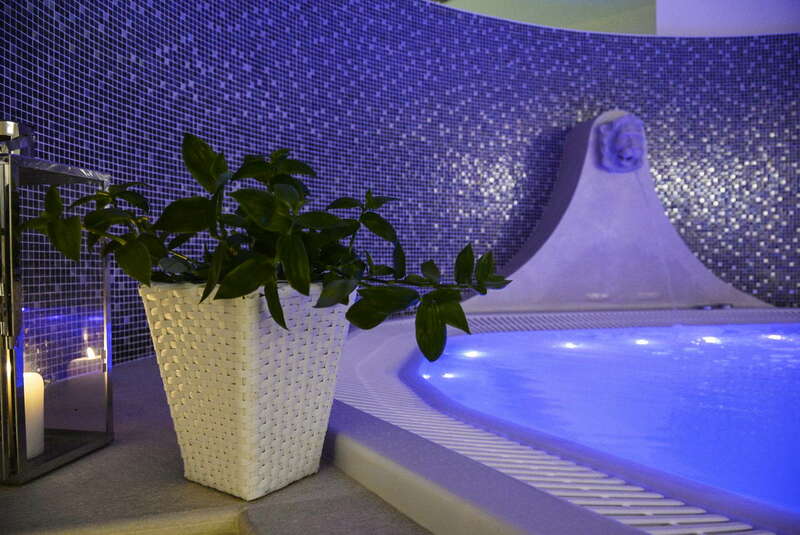 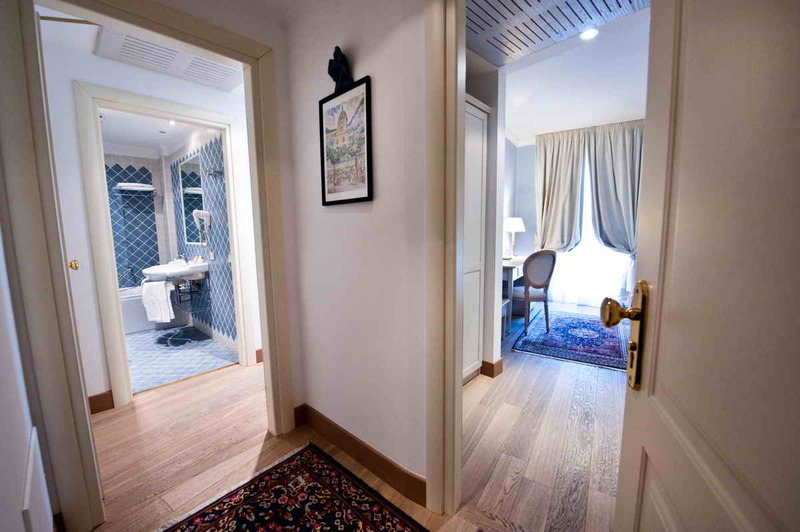 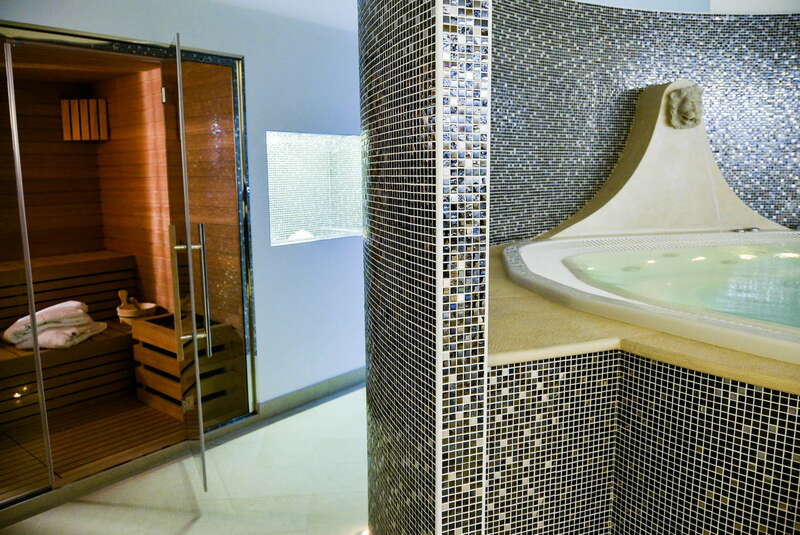 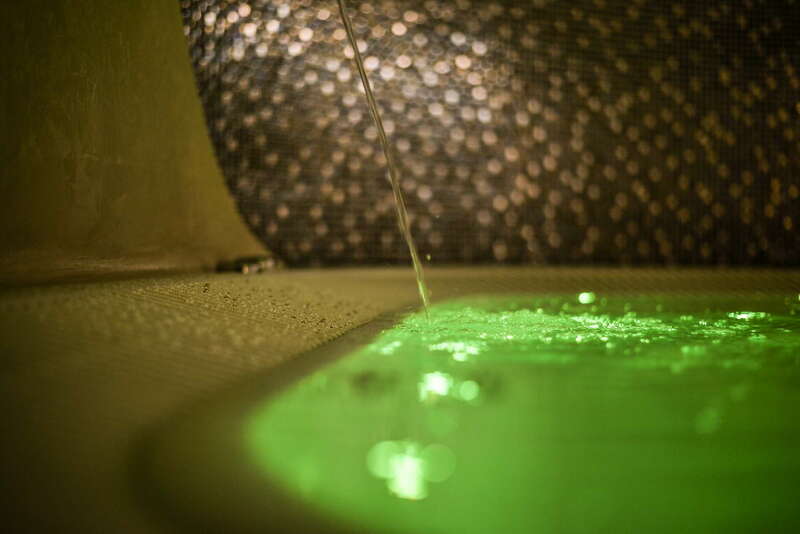 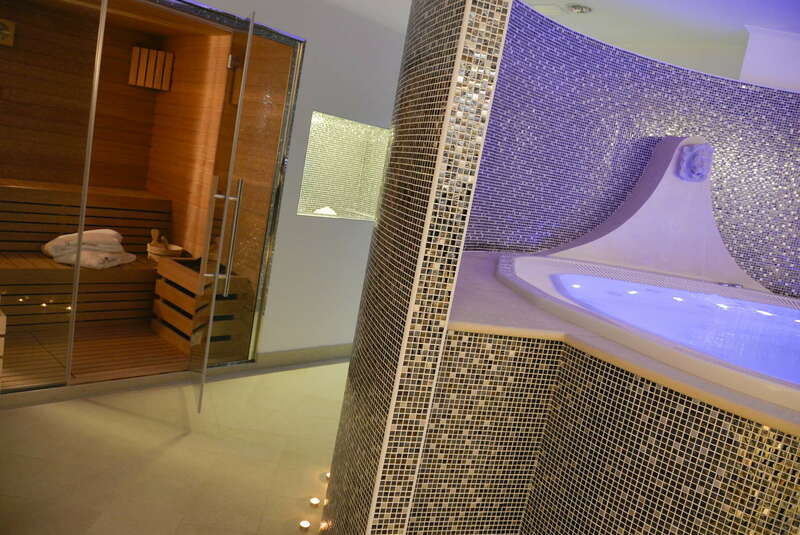 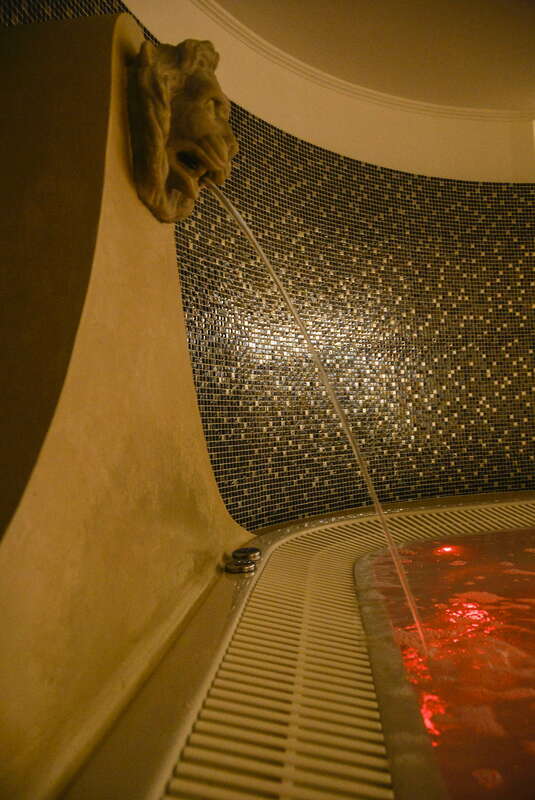 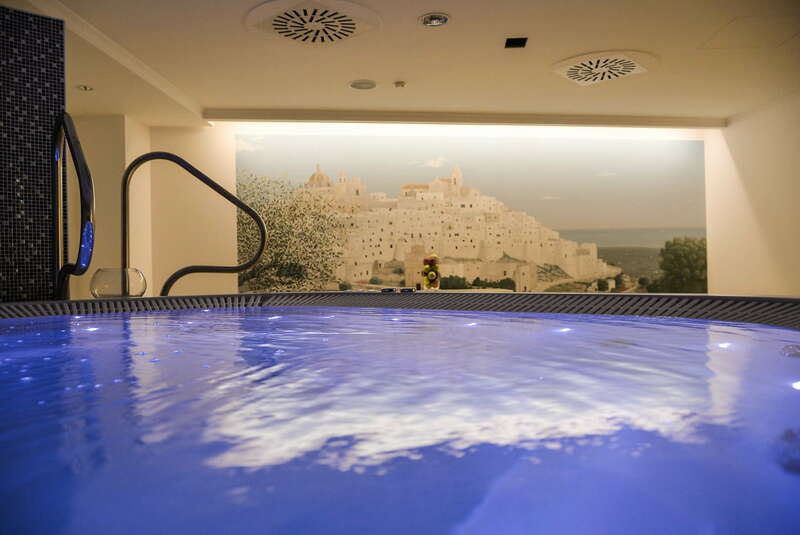 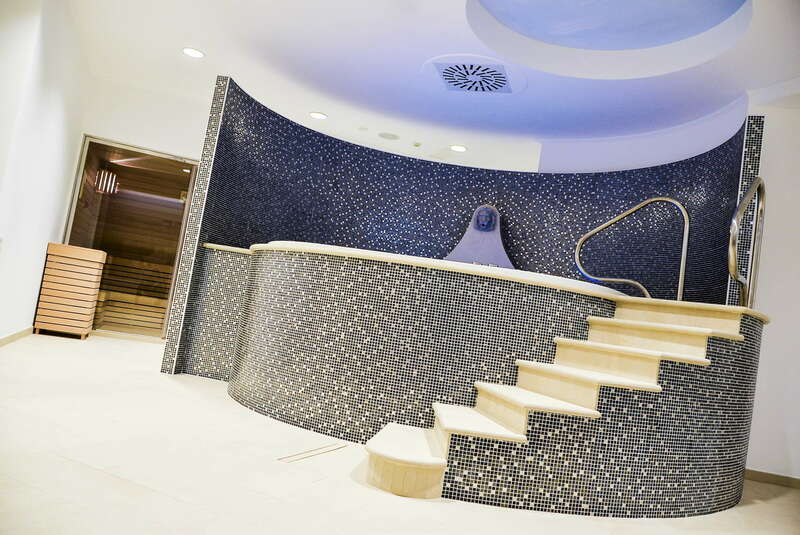 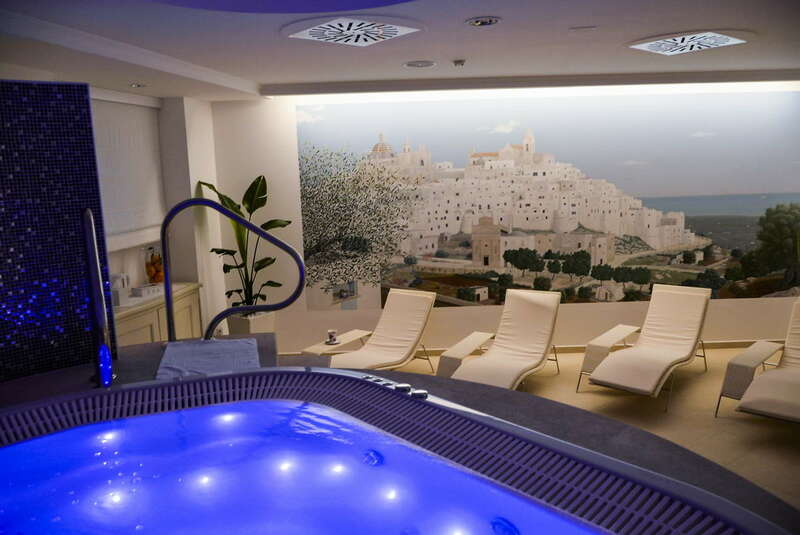 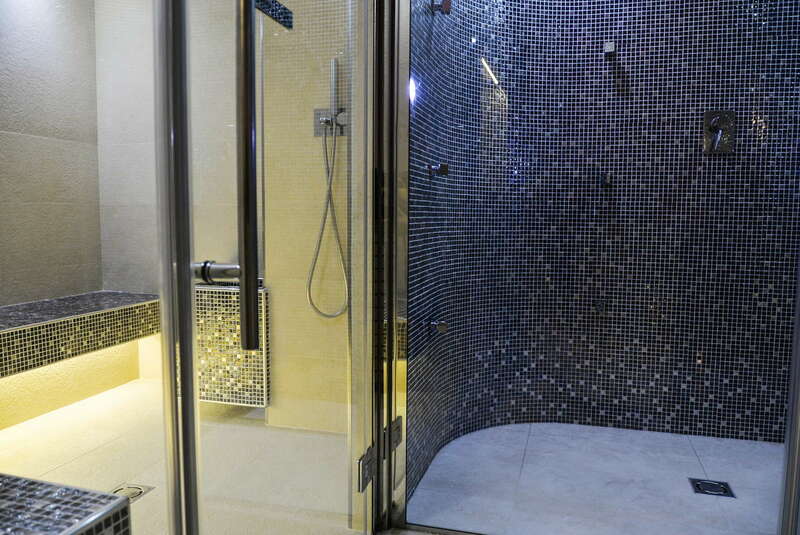 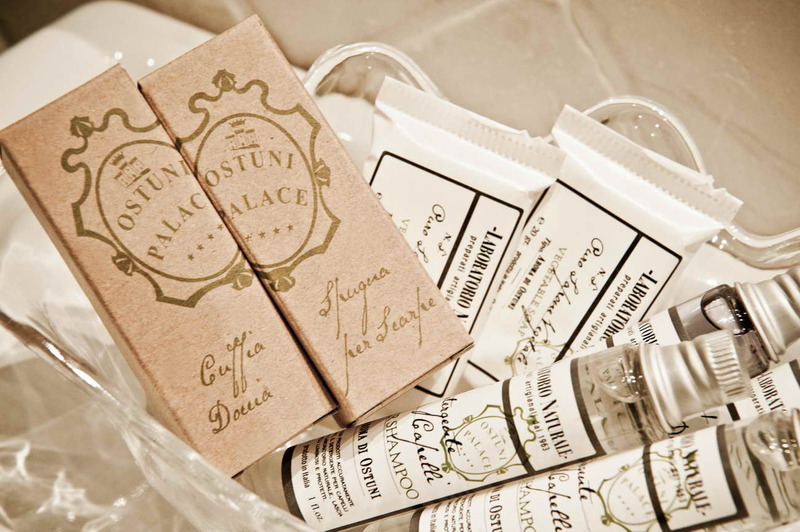 The new and modern spa Ostuni Palace SPA with Jacuzzi, sauna, Turkish bath, emotional showers with Chromo-therapy and relax area with herbal tea and infusions tasting. 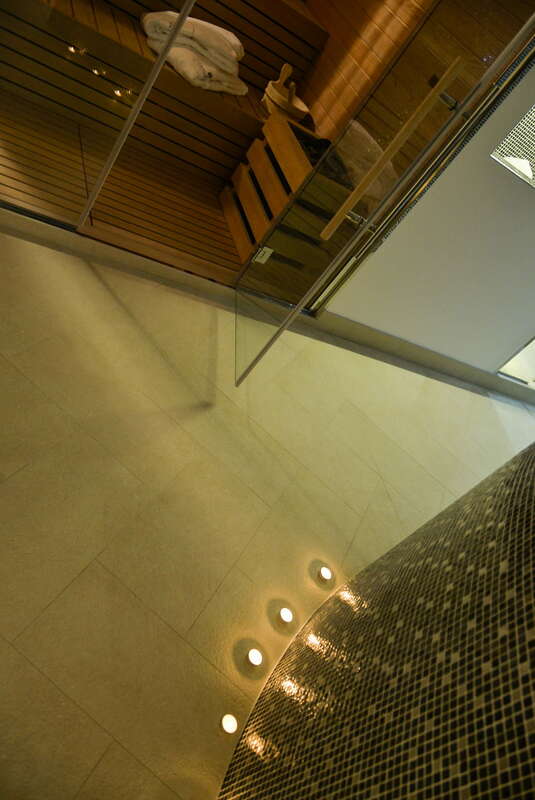 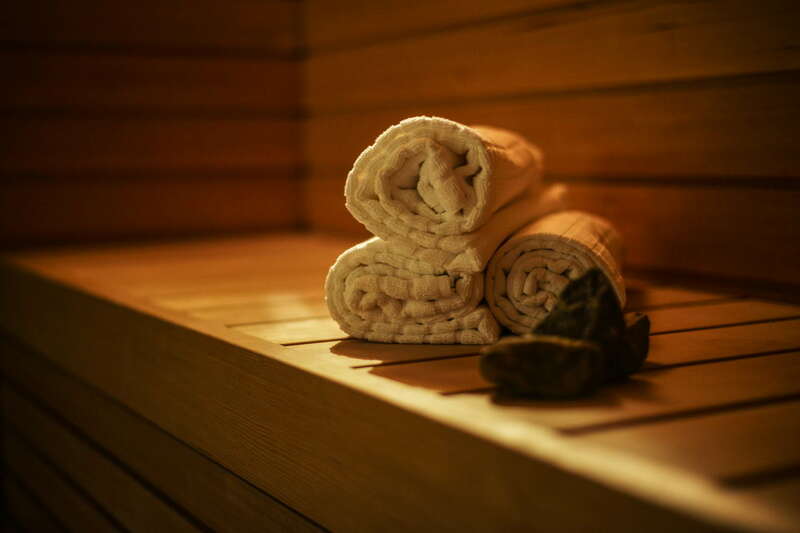 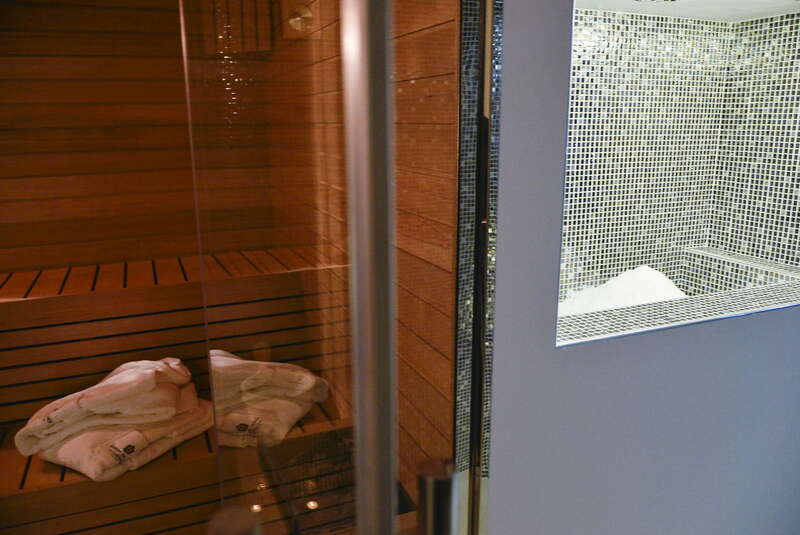 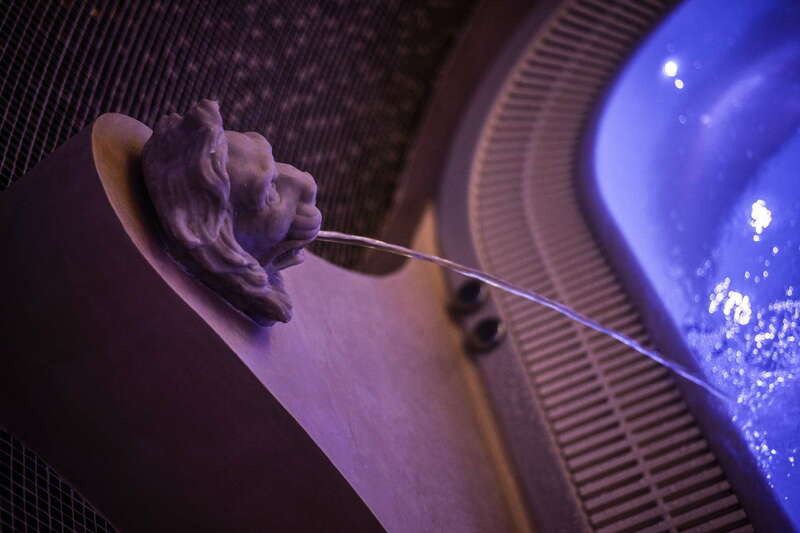 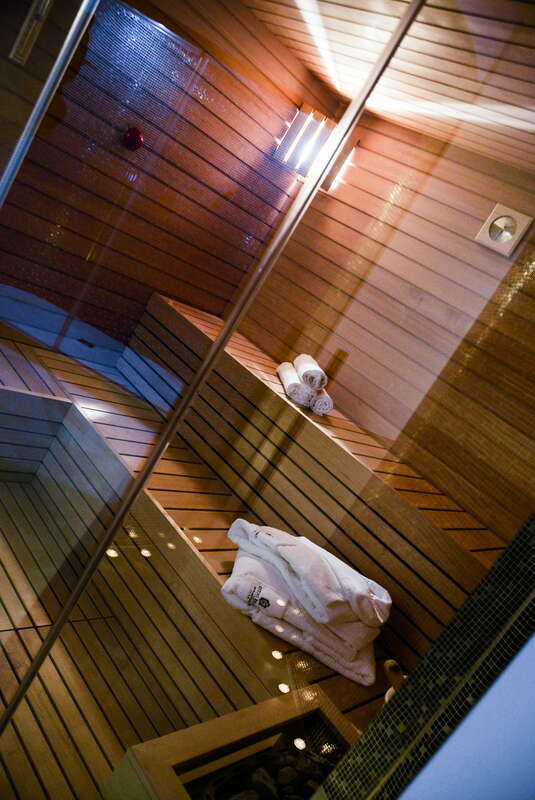 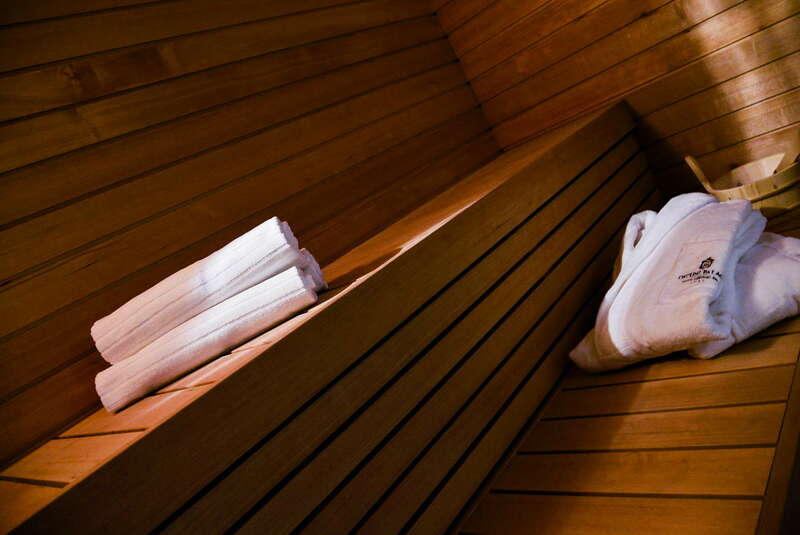 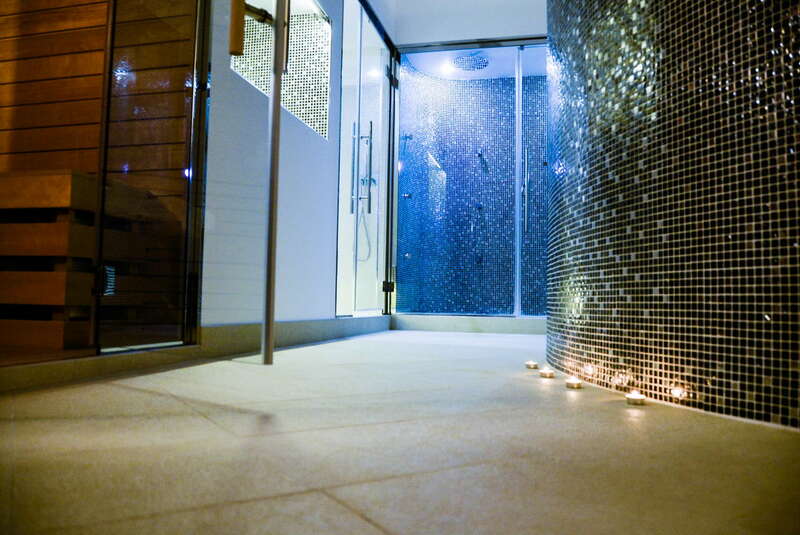 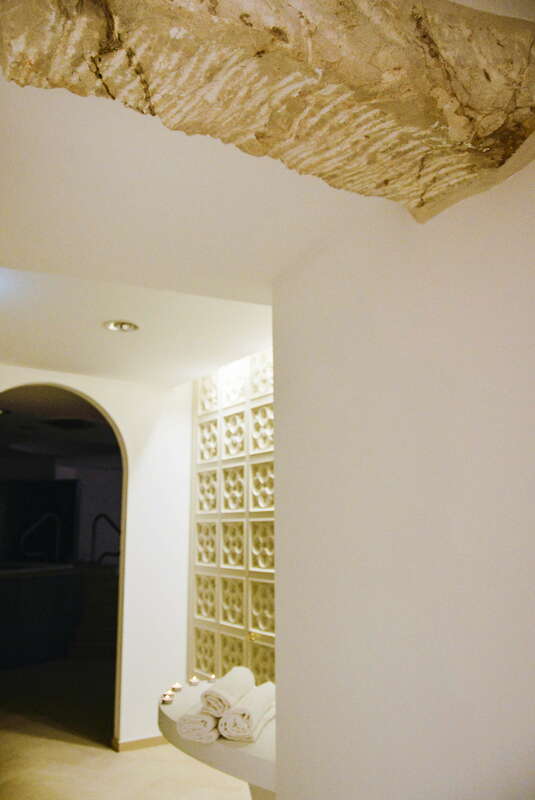 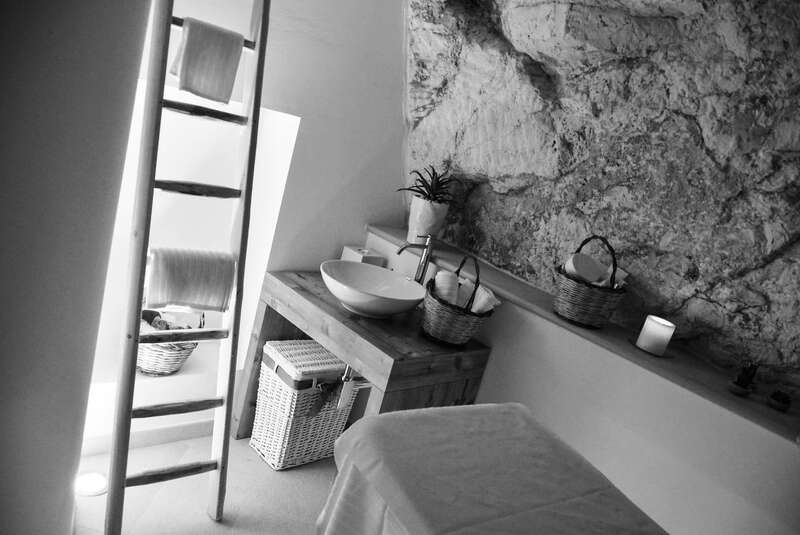 The massage cabin set in a cave, previously used to age the wine, is the ideal place for both single and treatments.